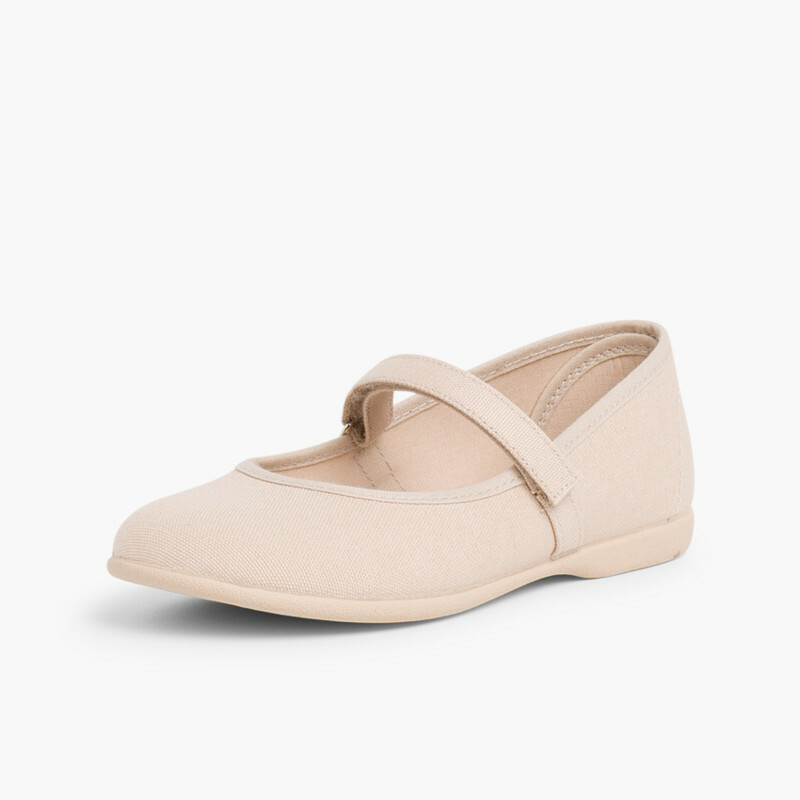 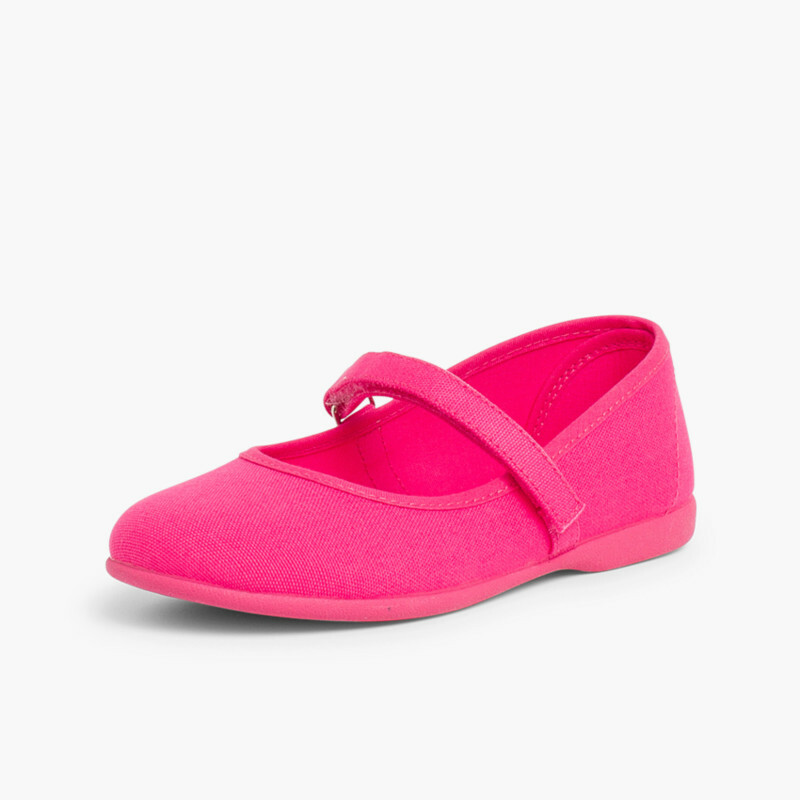 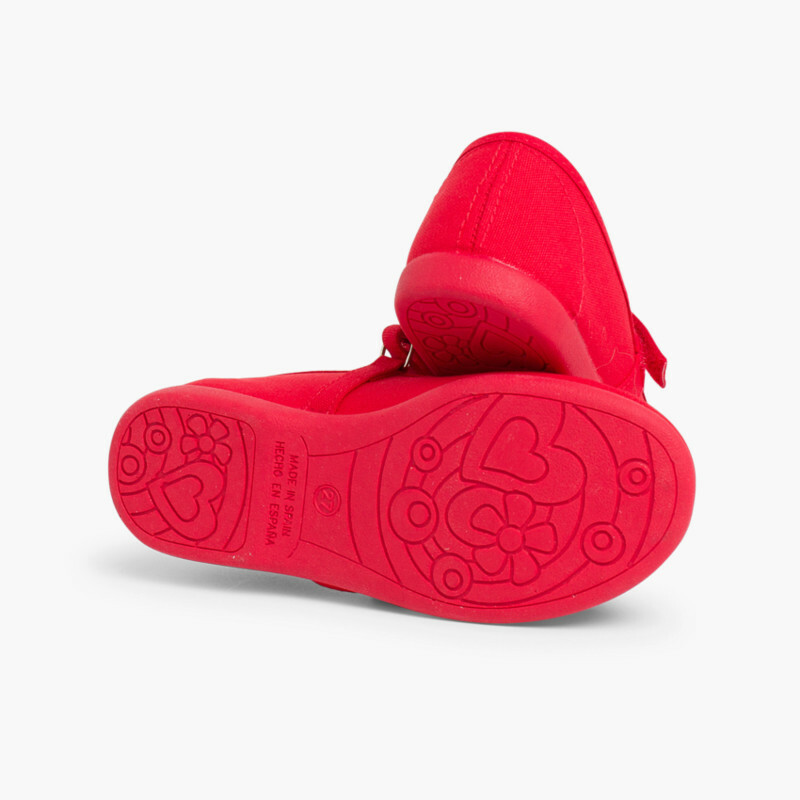 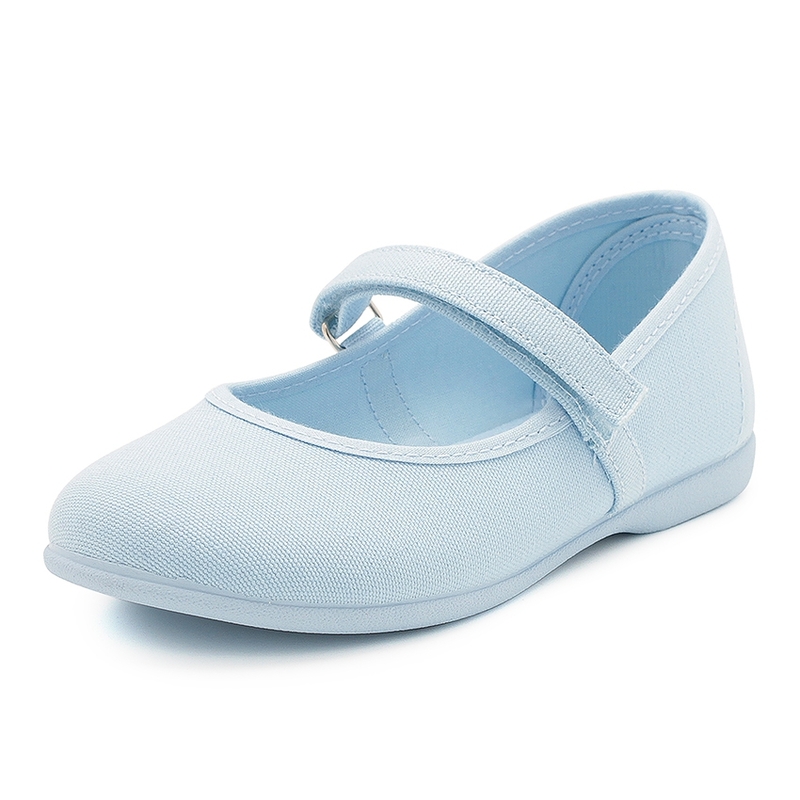 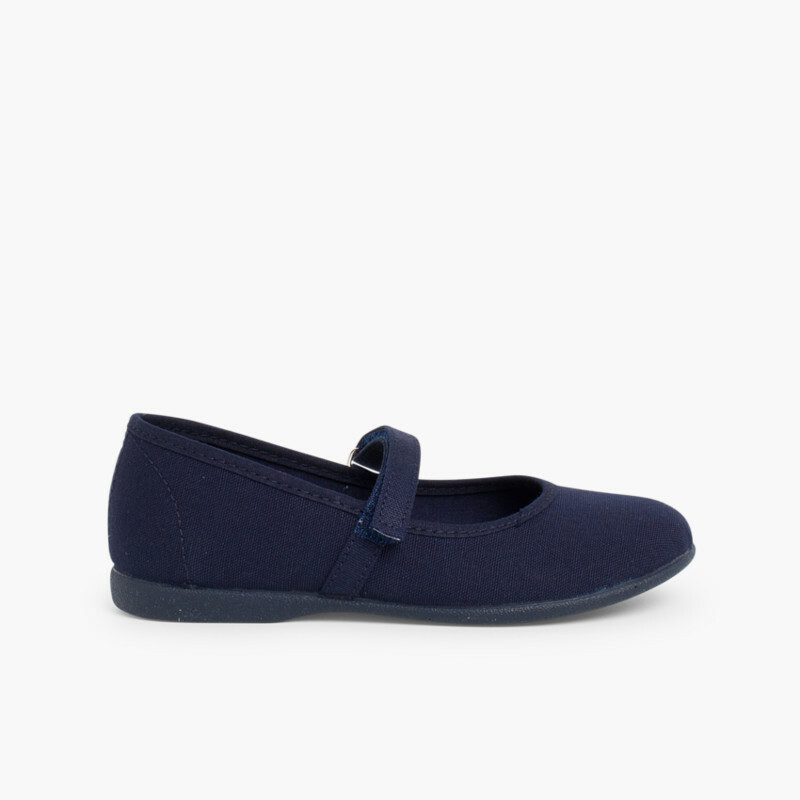 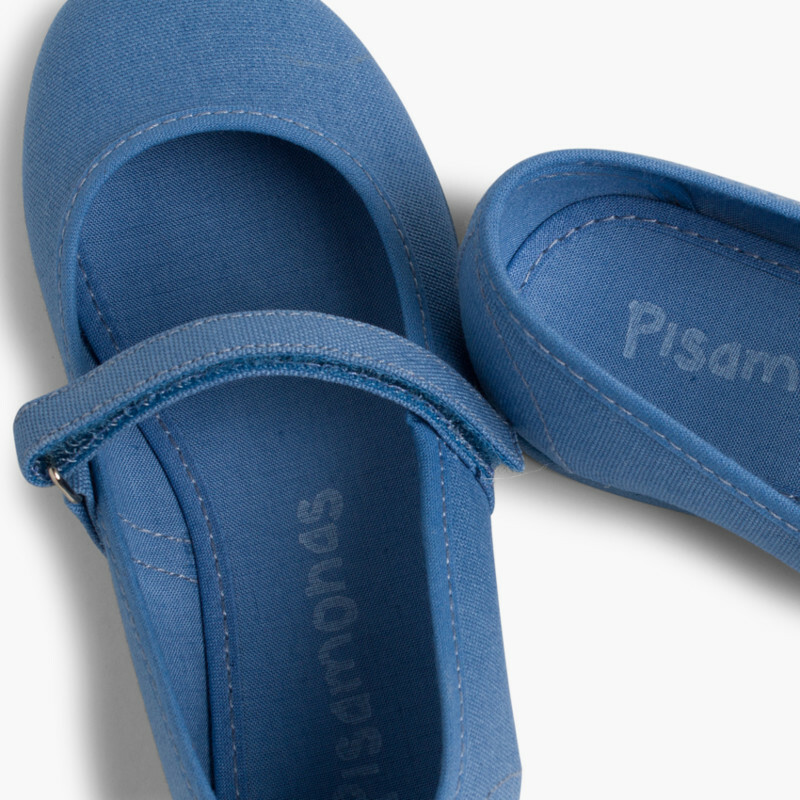 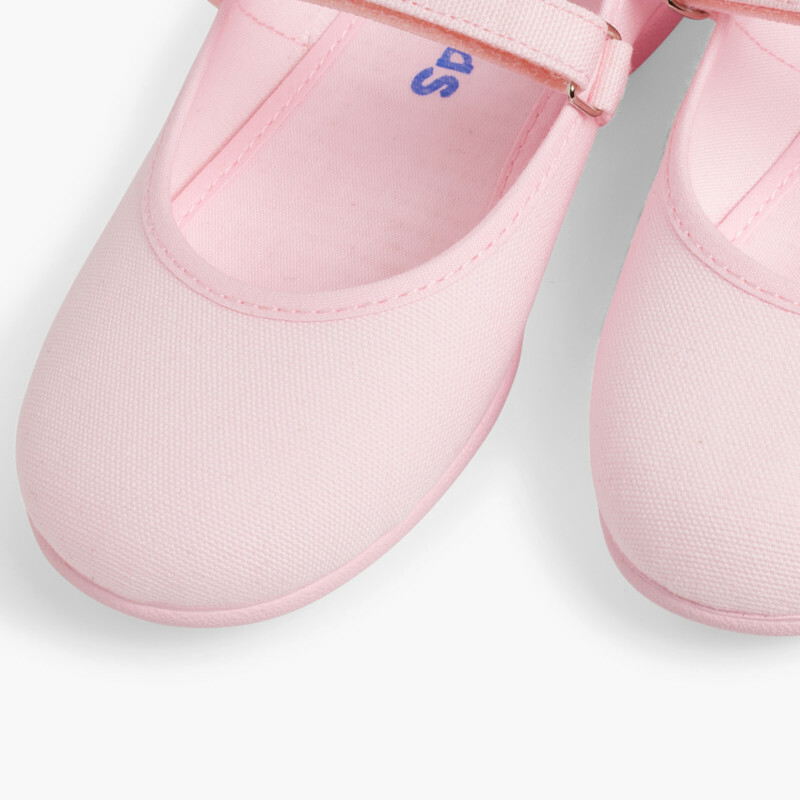 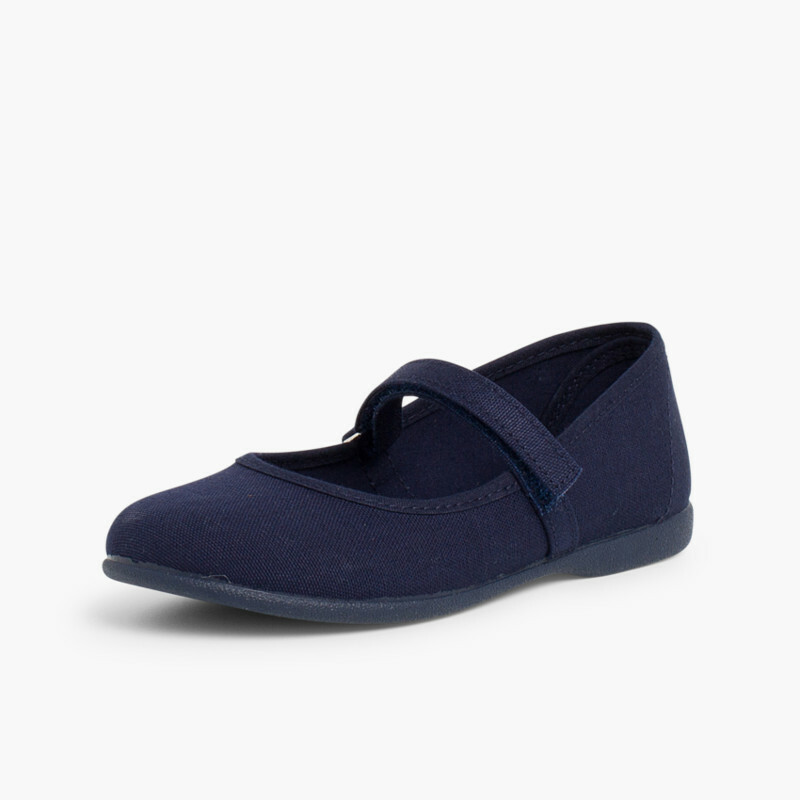 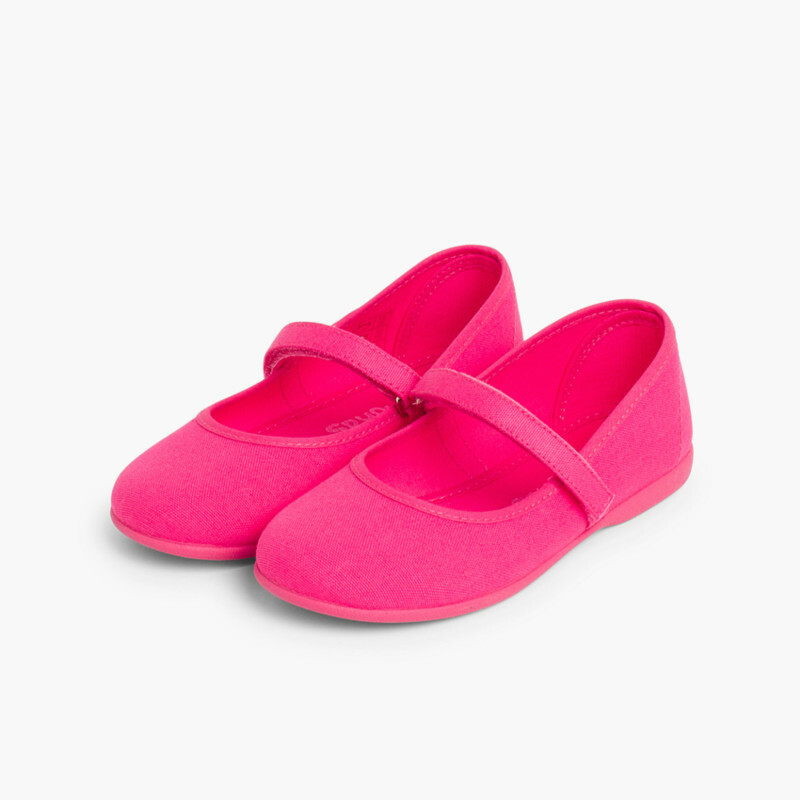 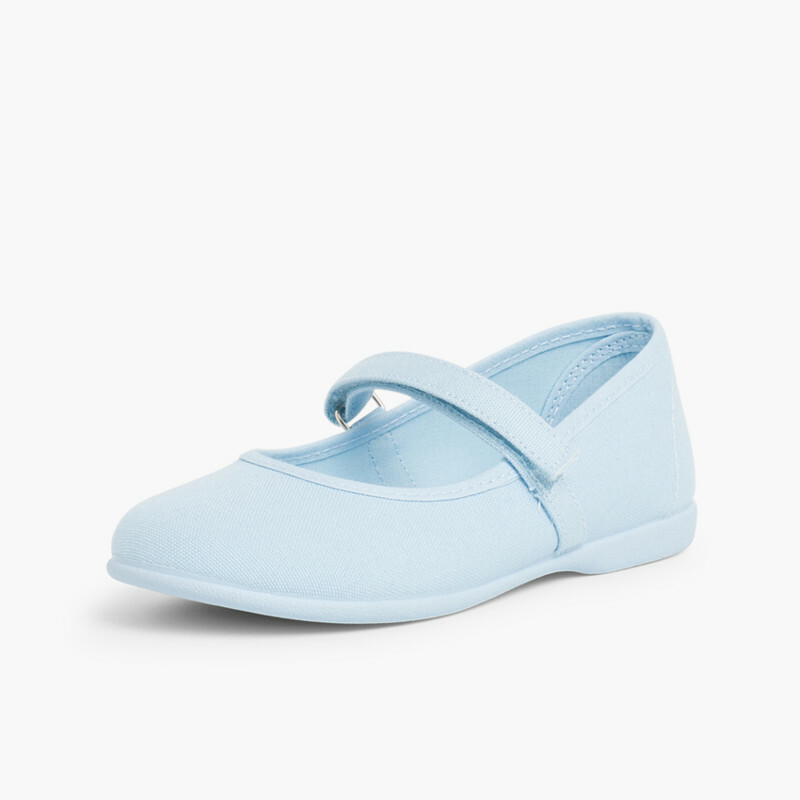 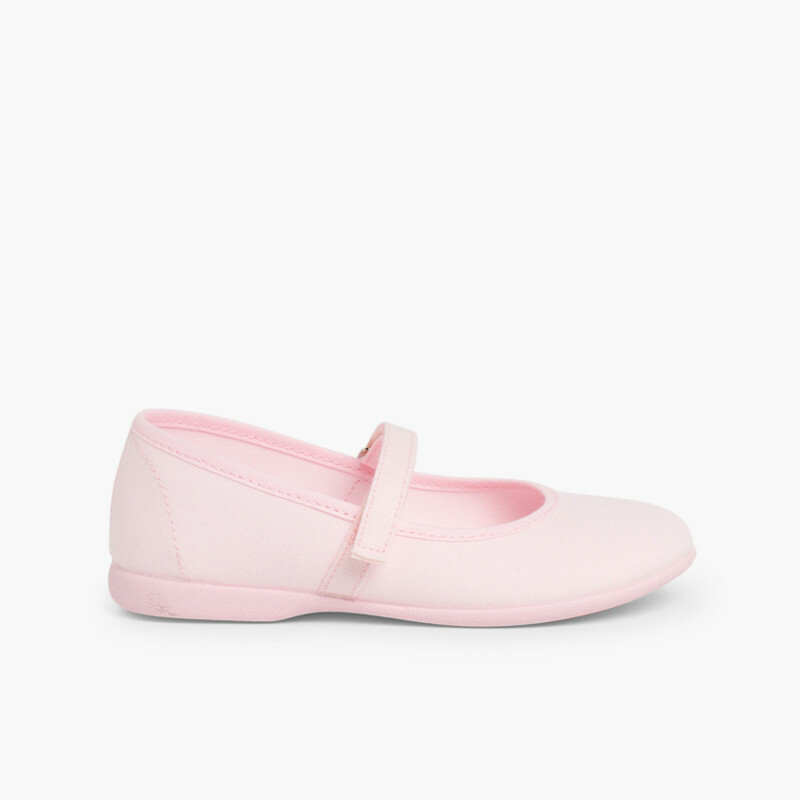 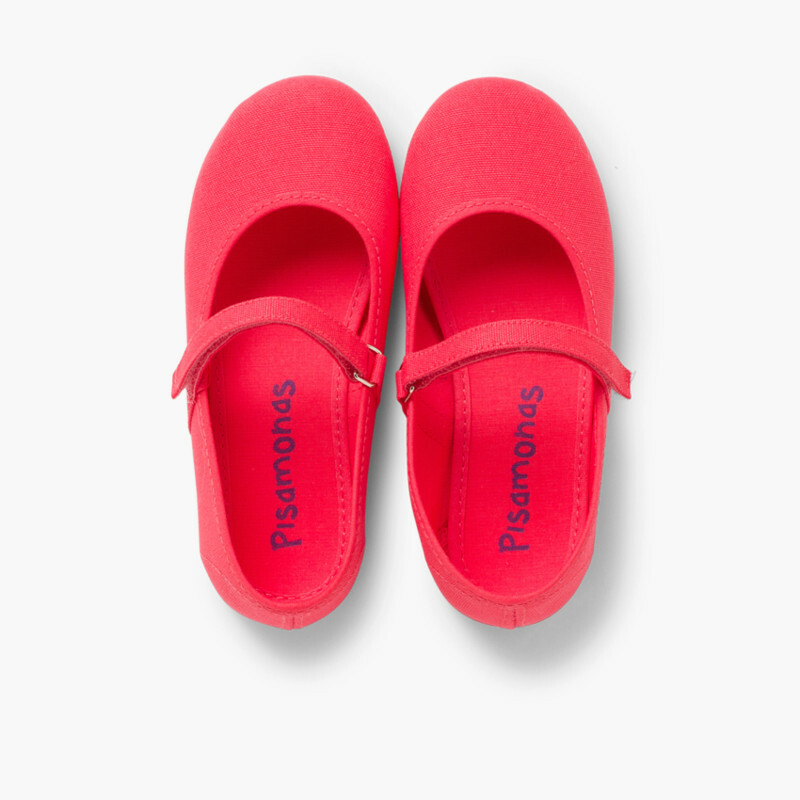 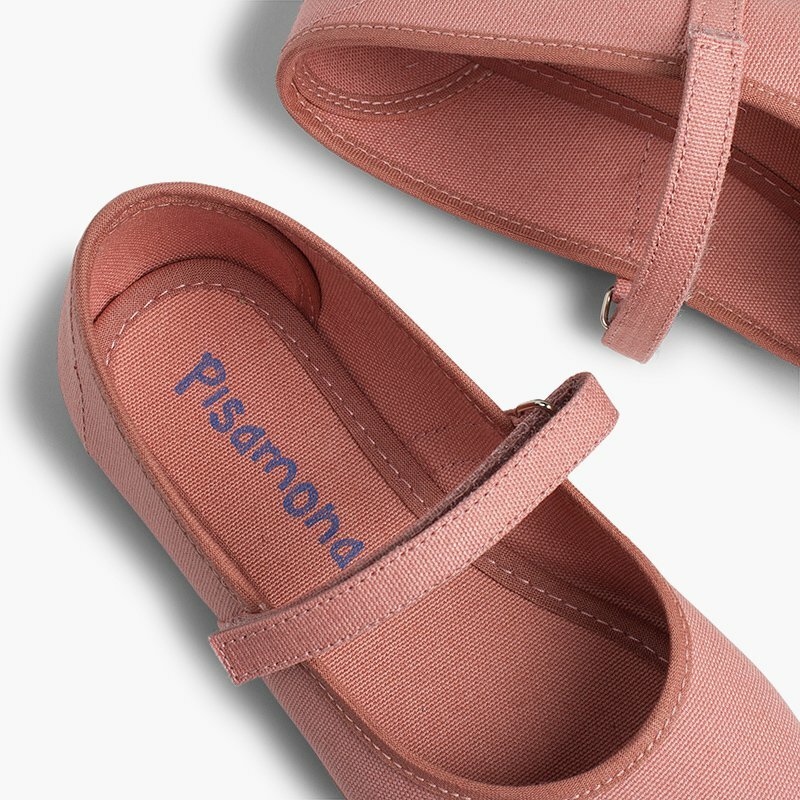 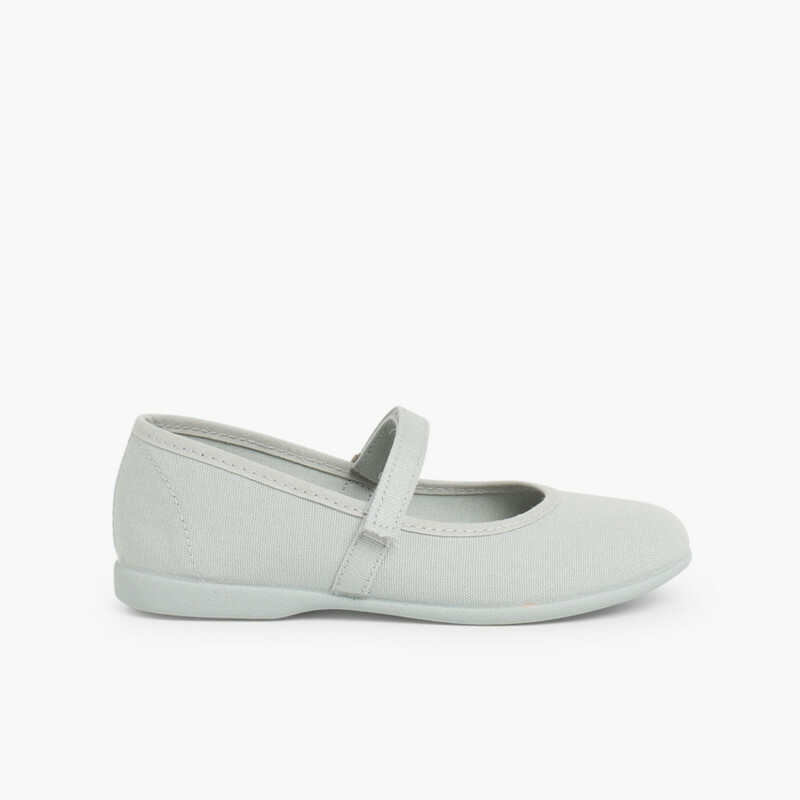 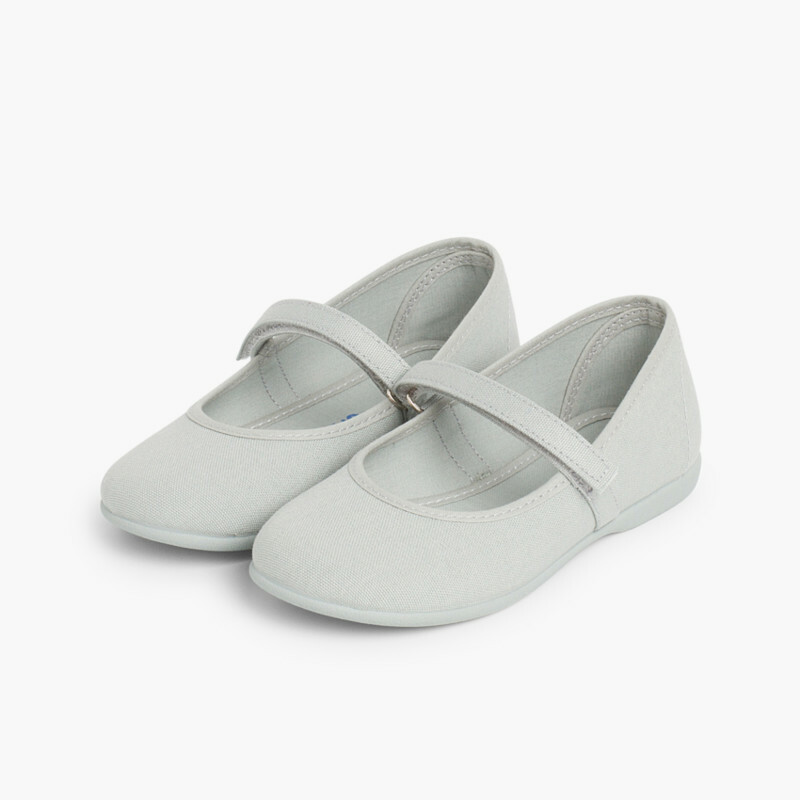 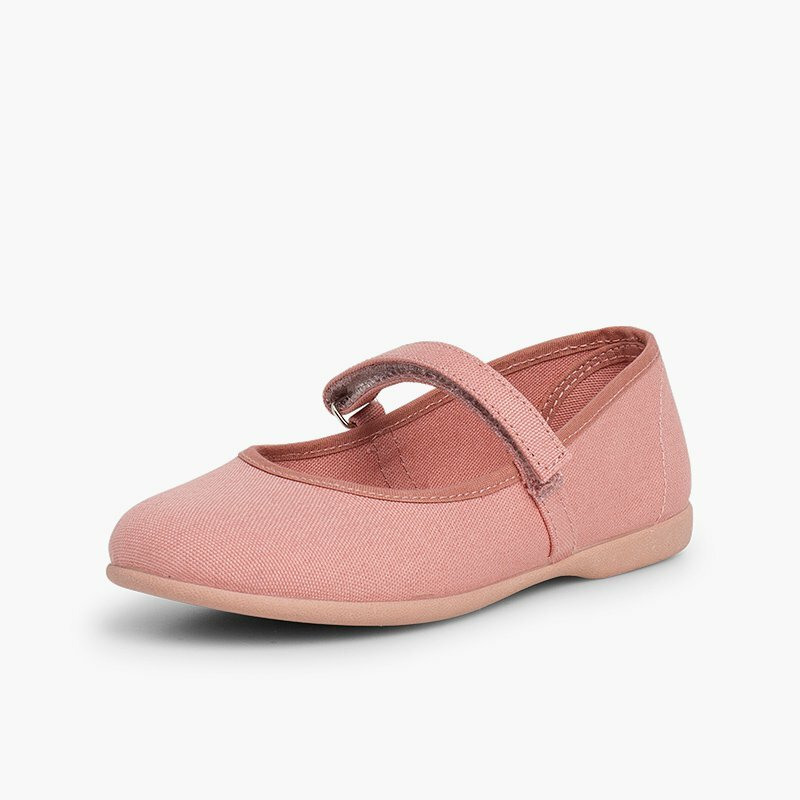 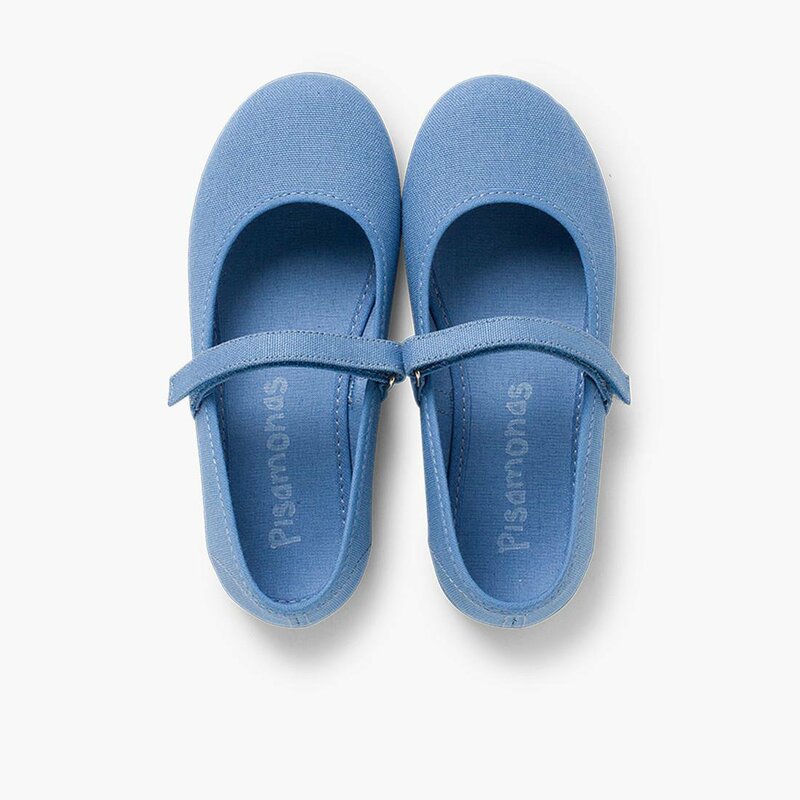 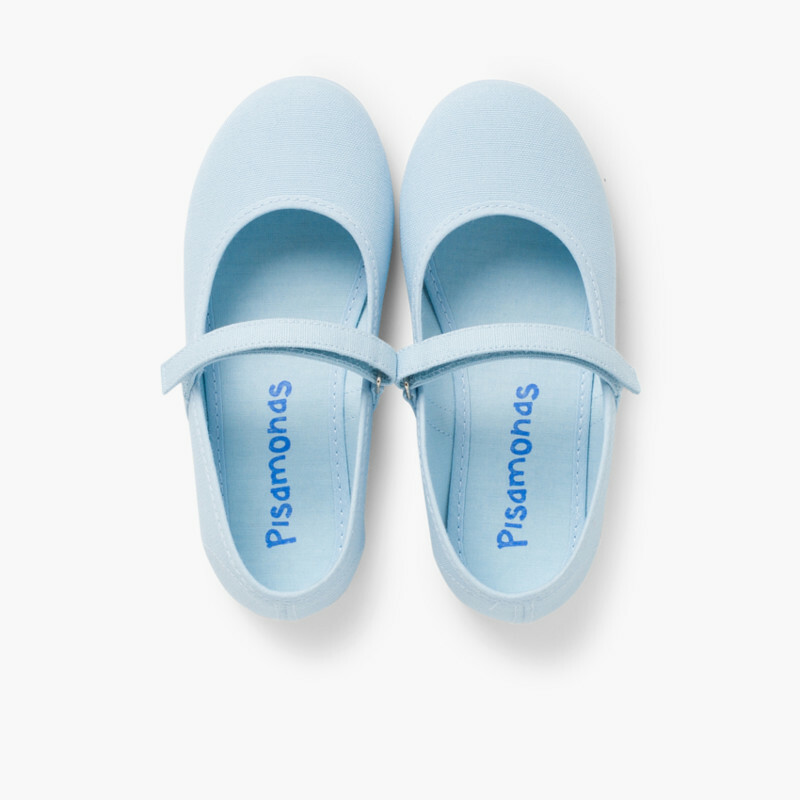 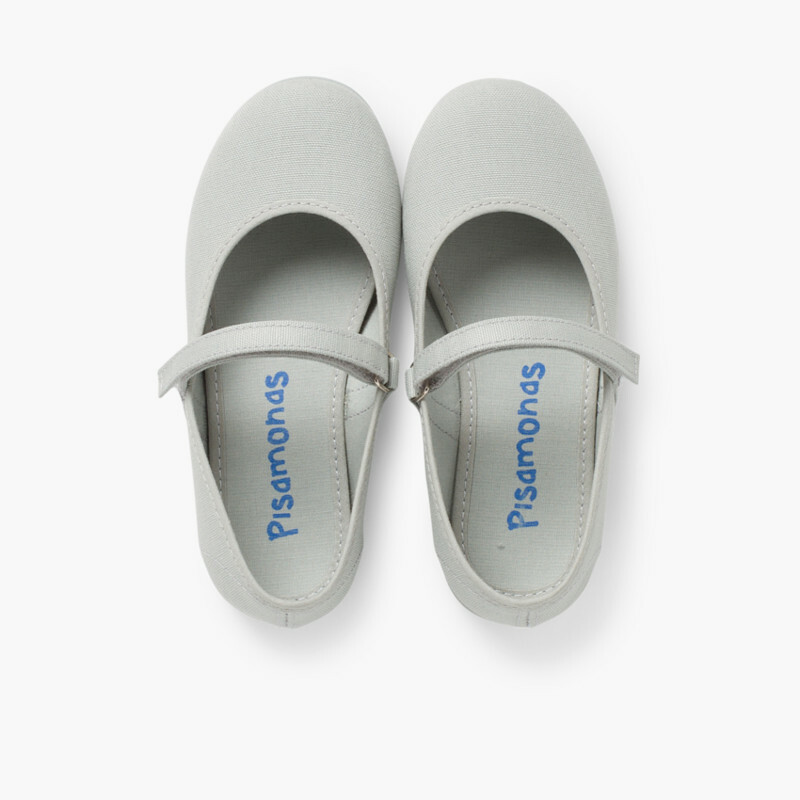 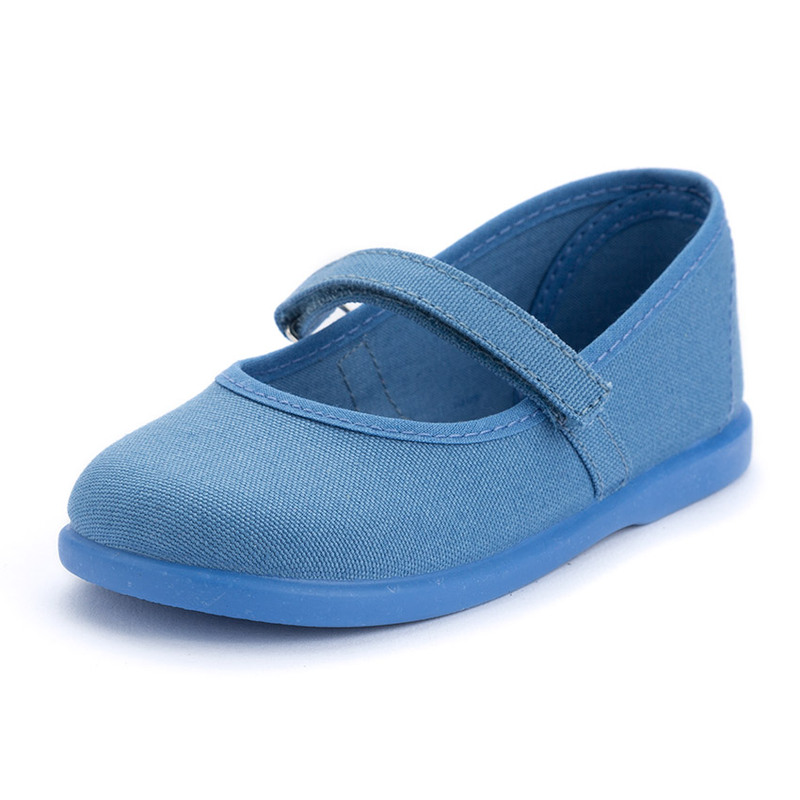 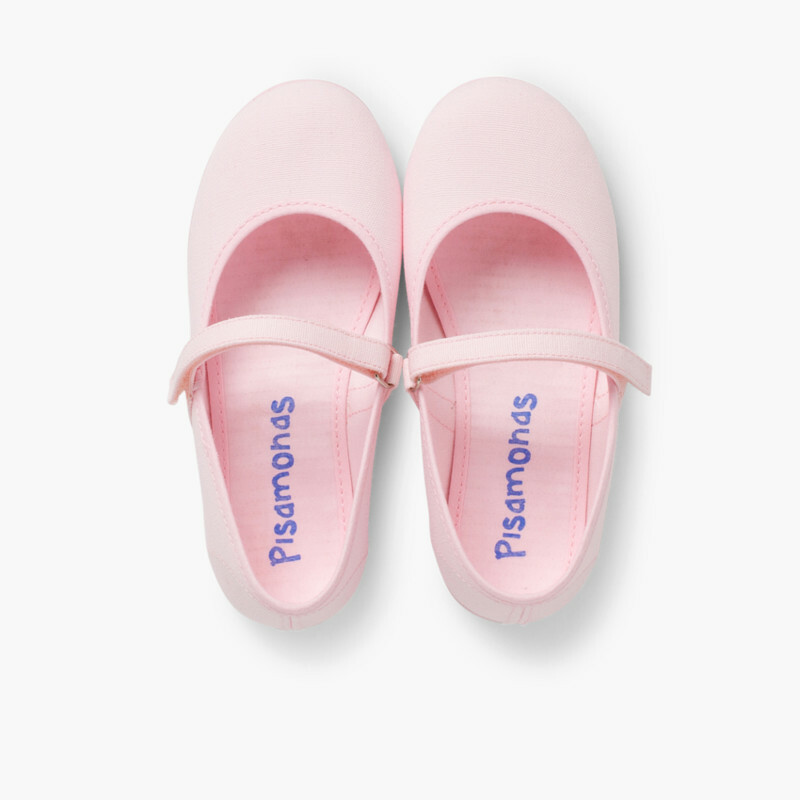 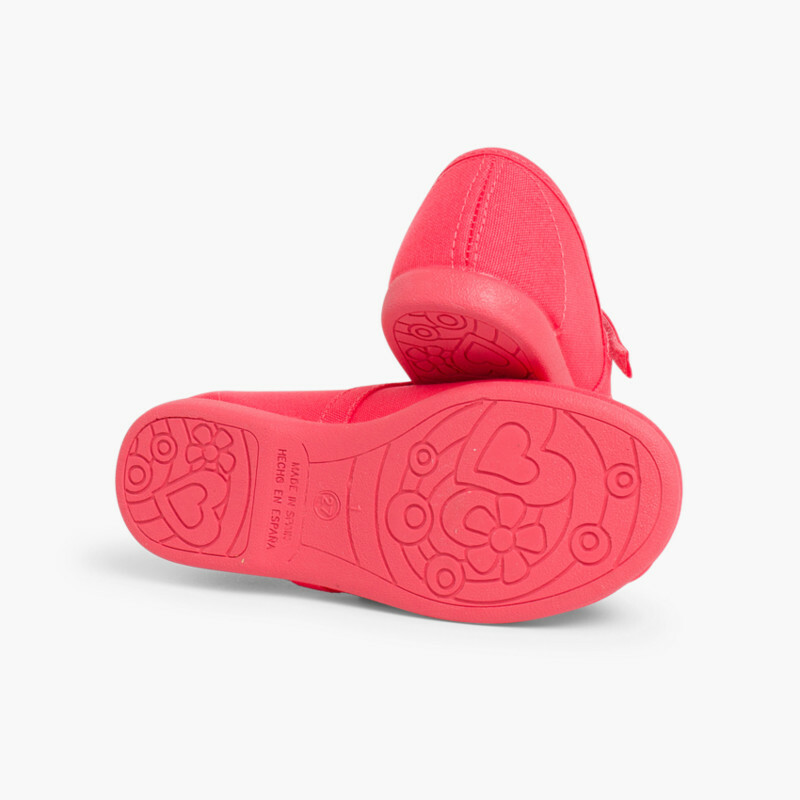 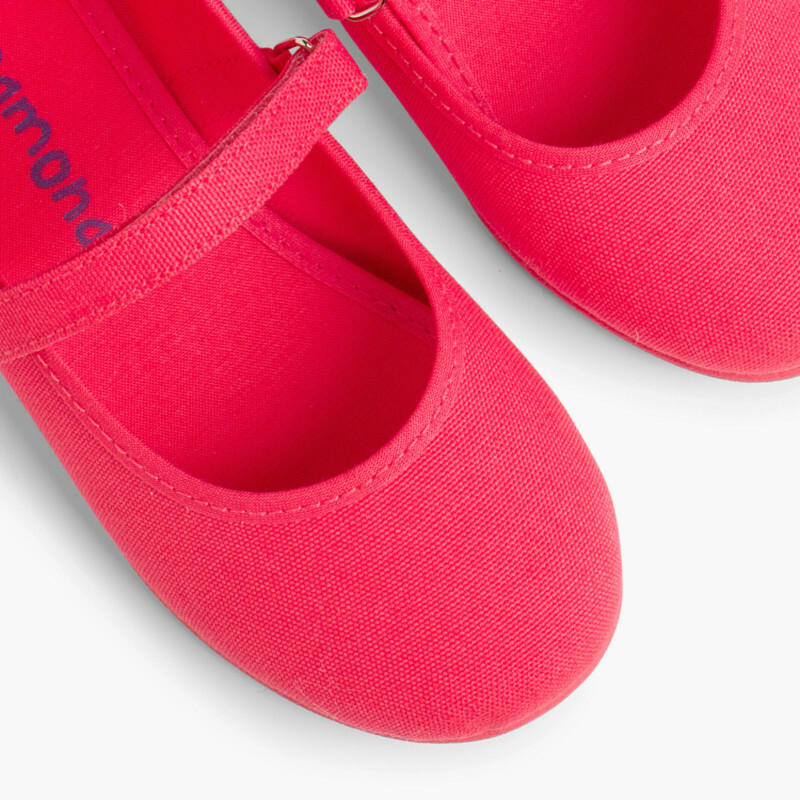 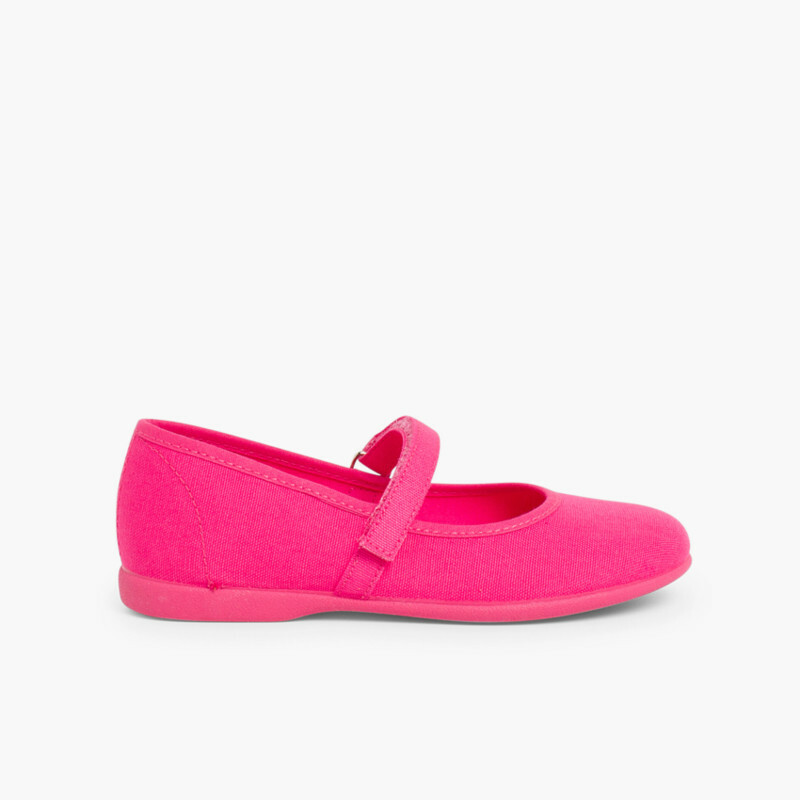 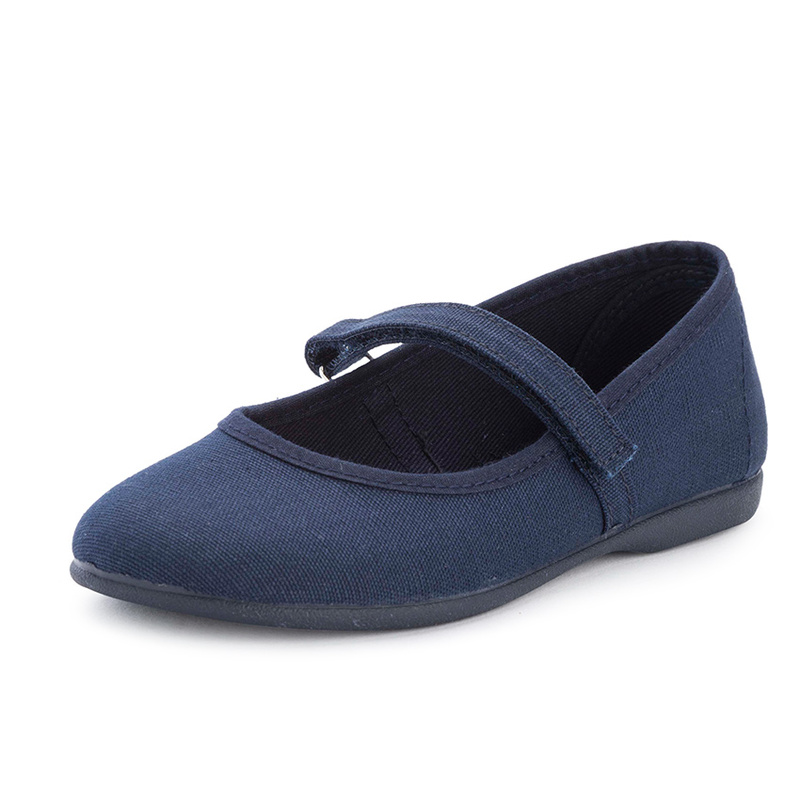 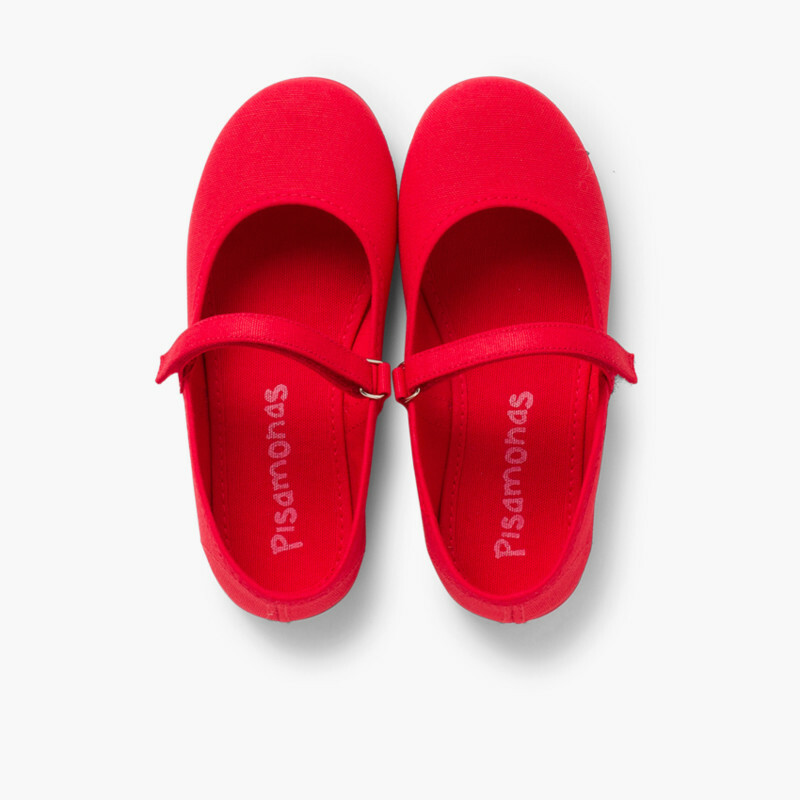 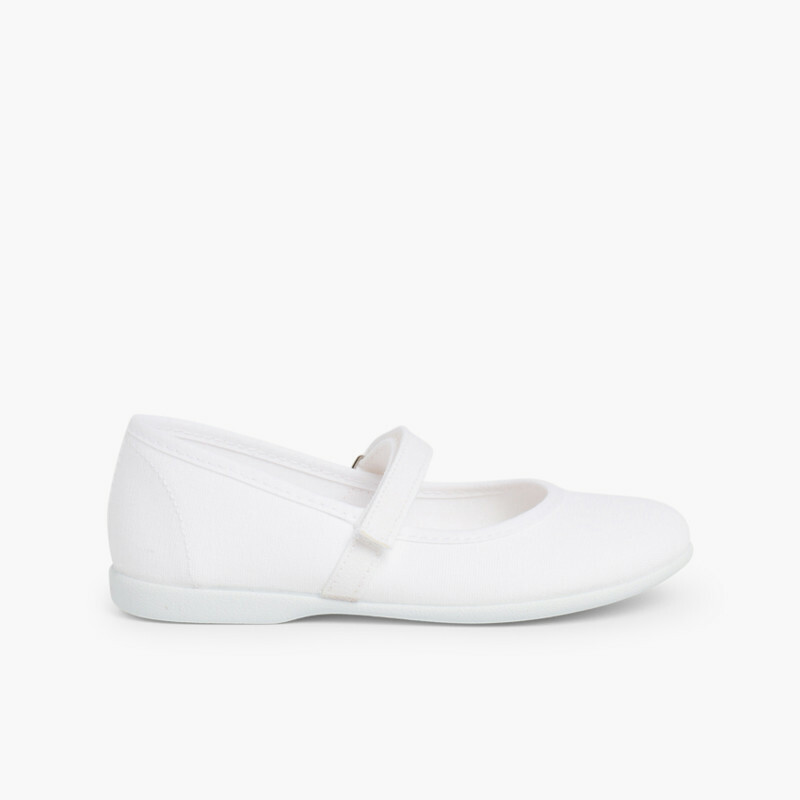 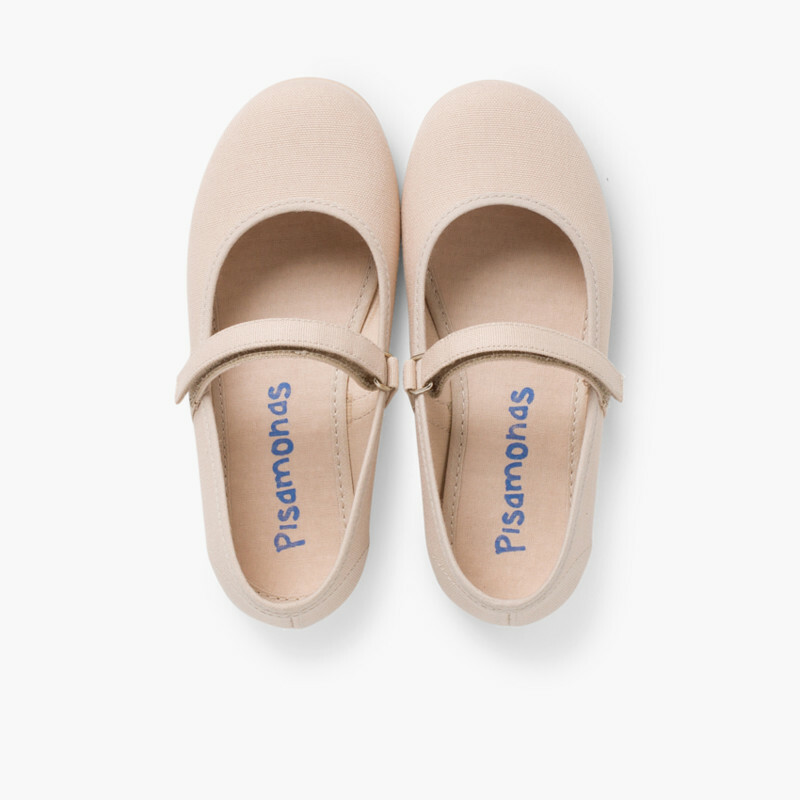 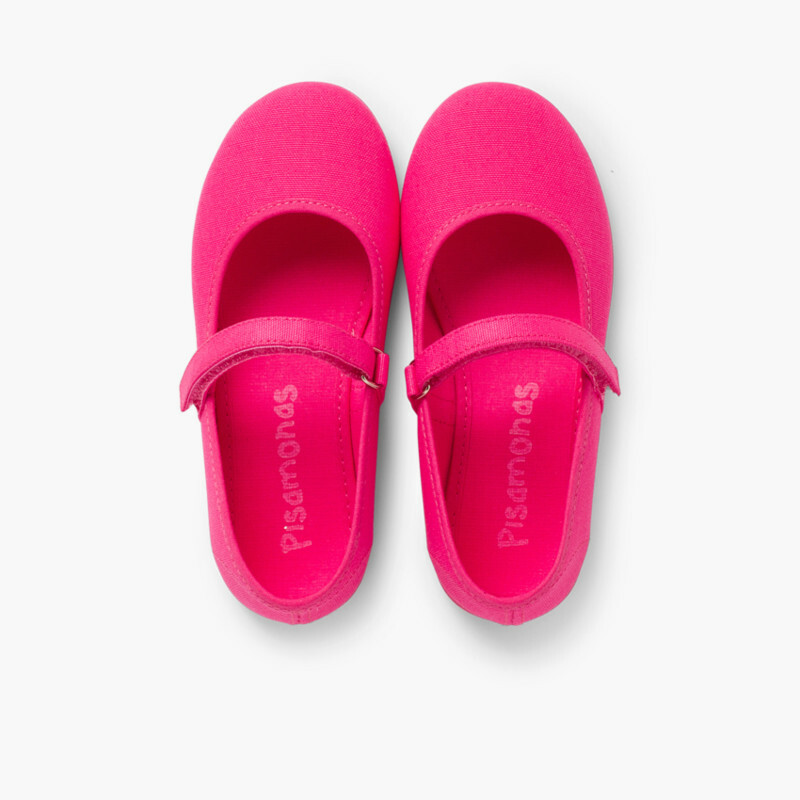 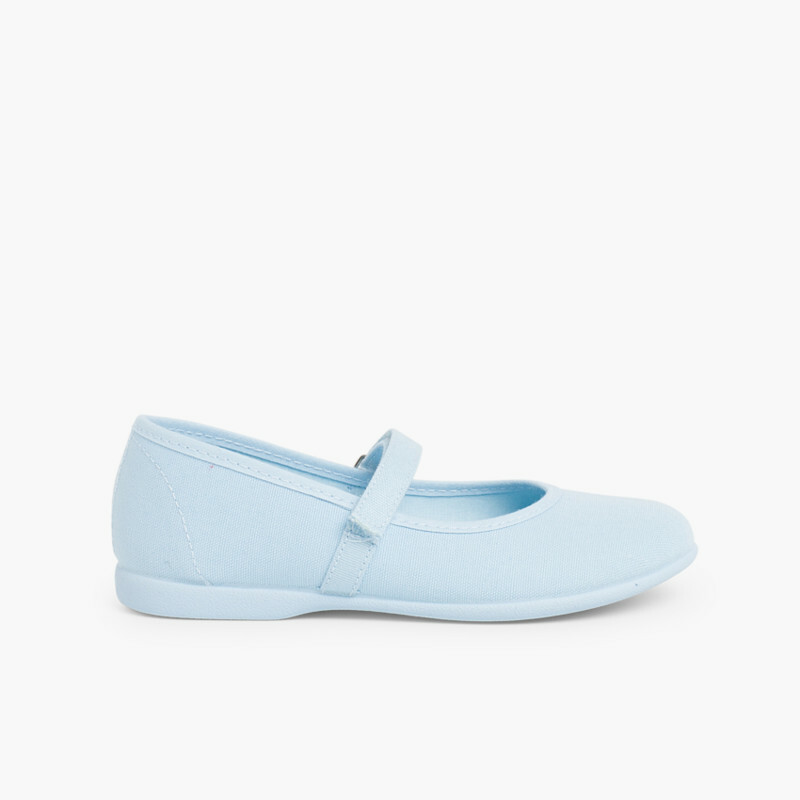 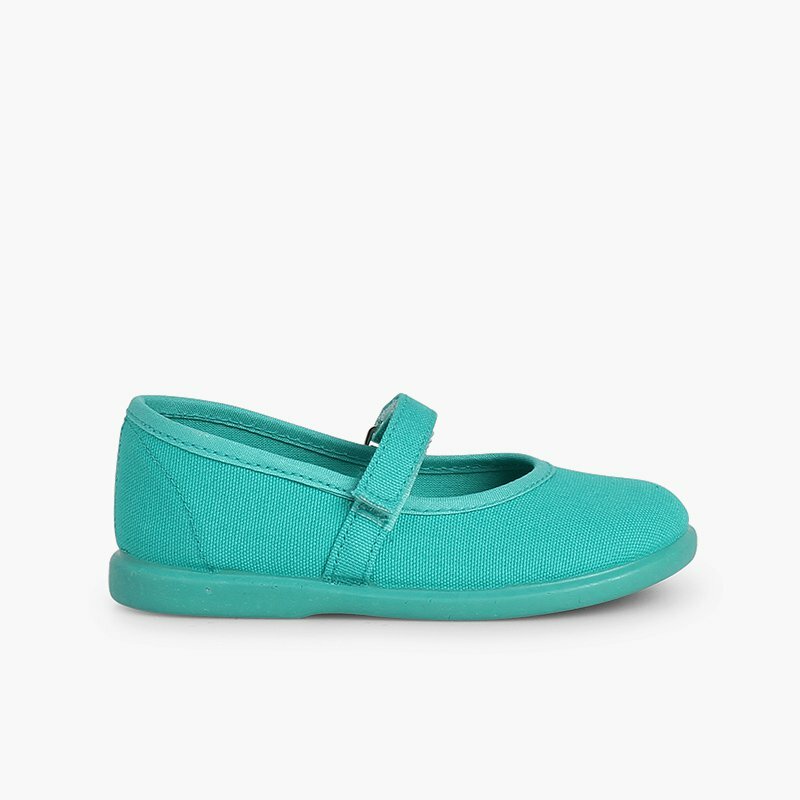 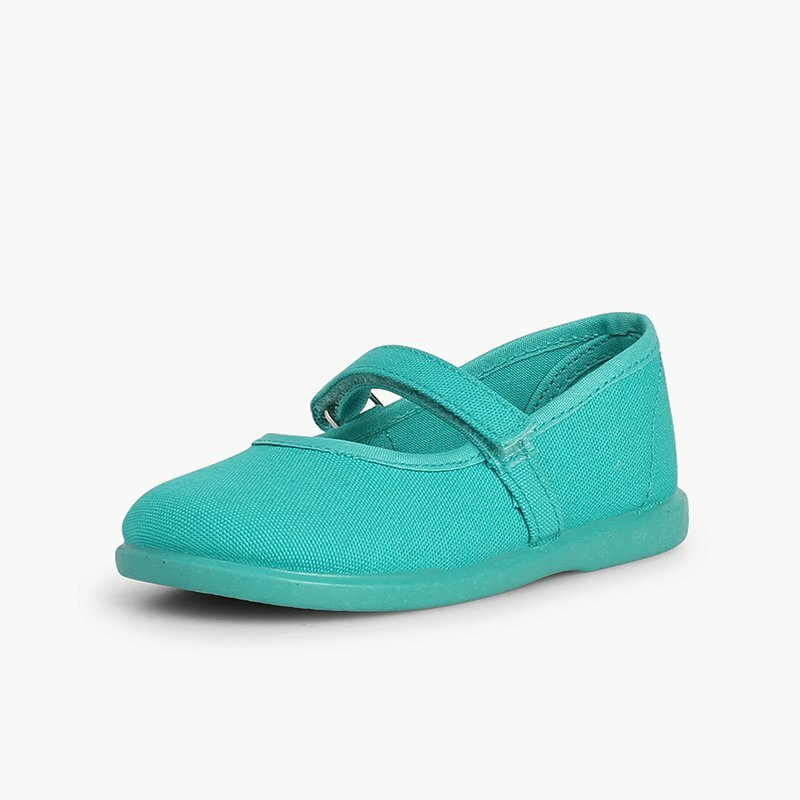 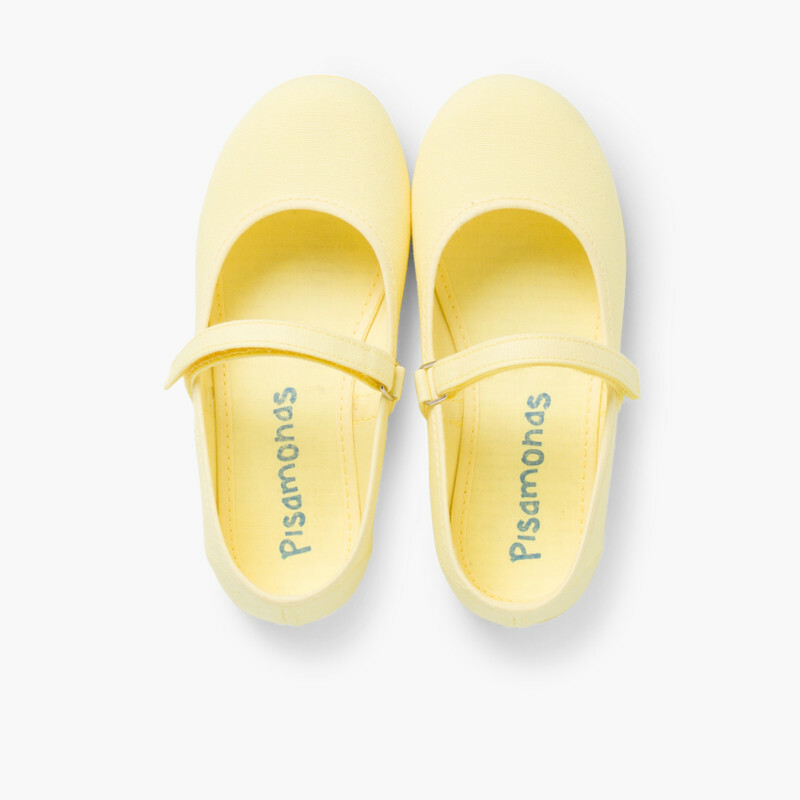 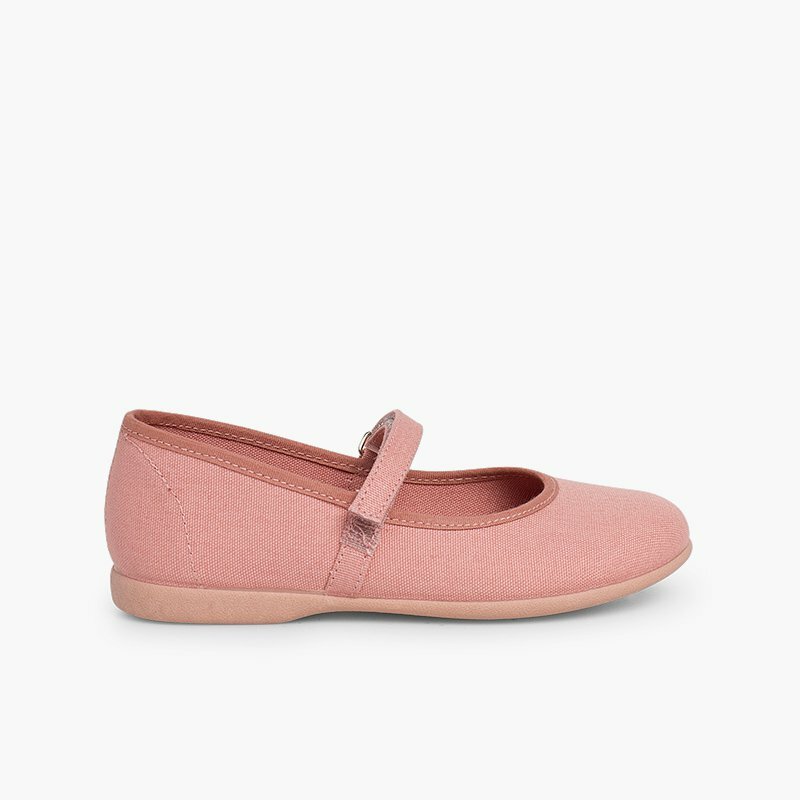 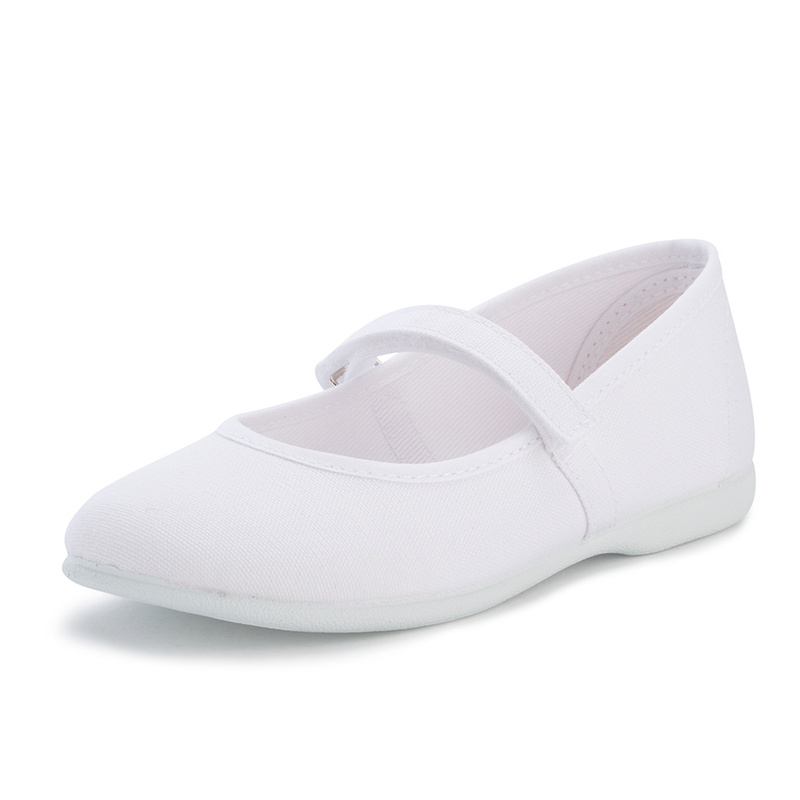 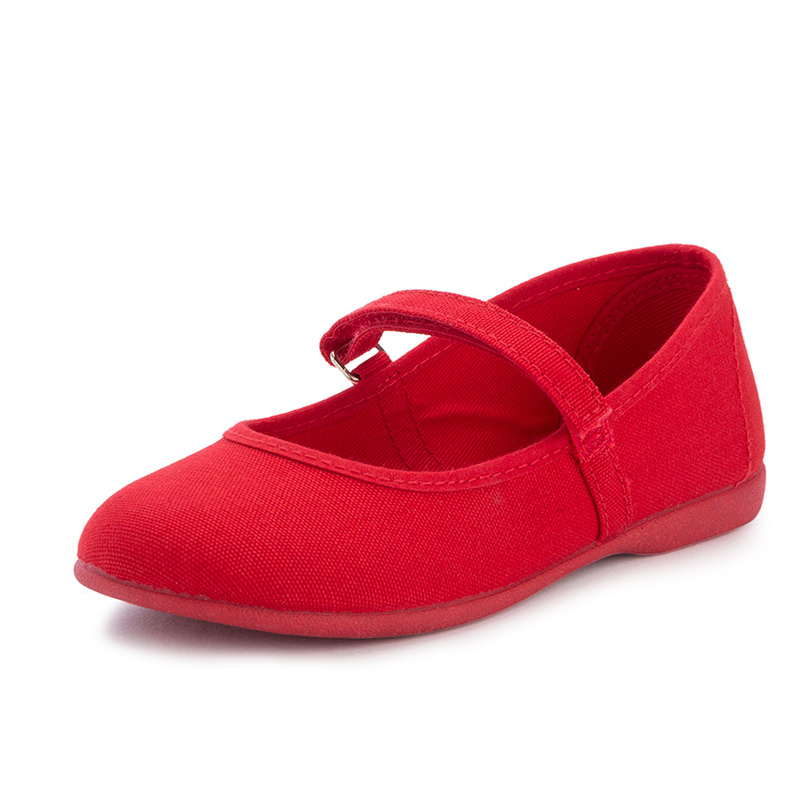 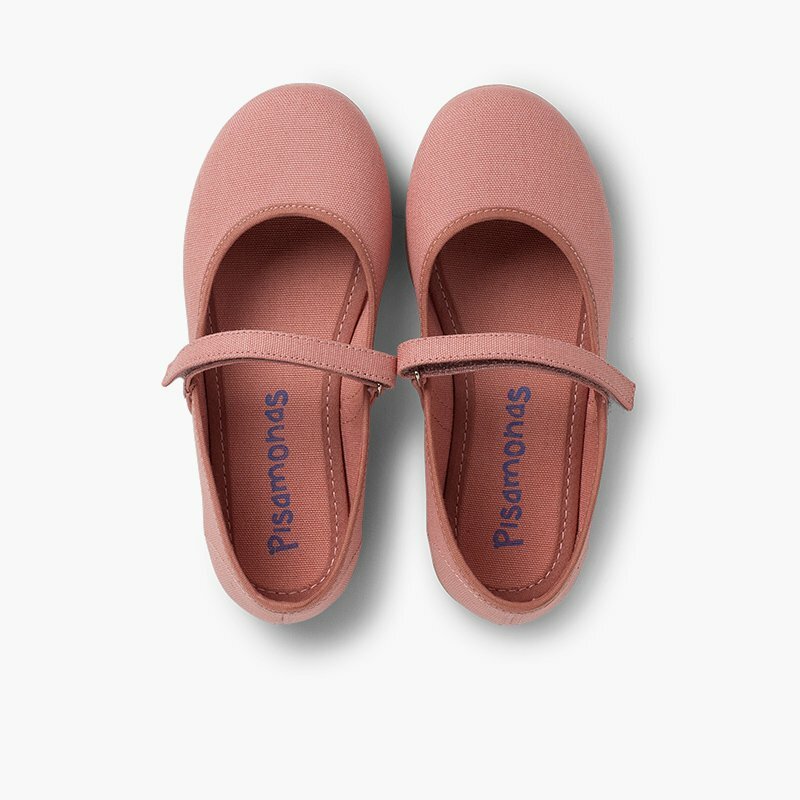 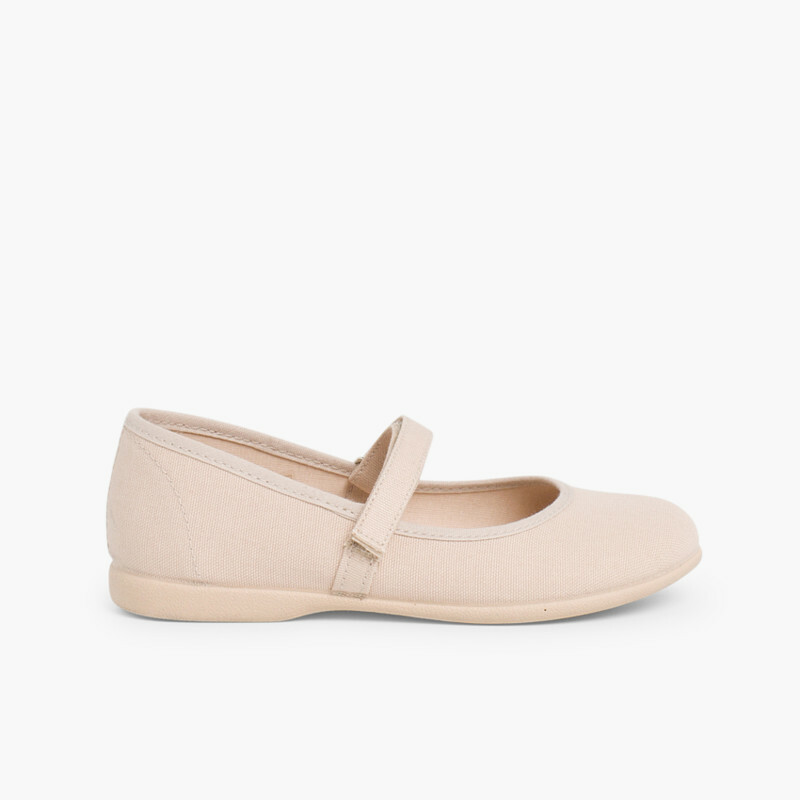 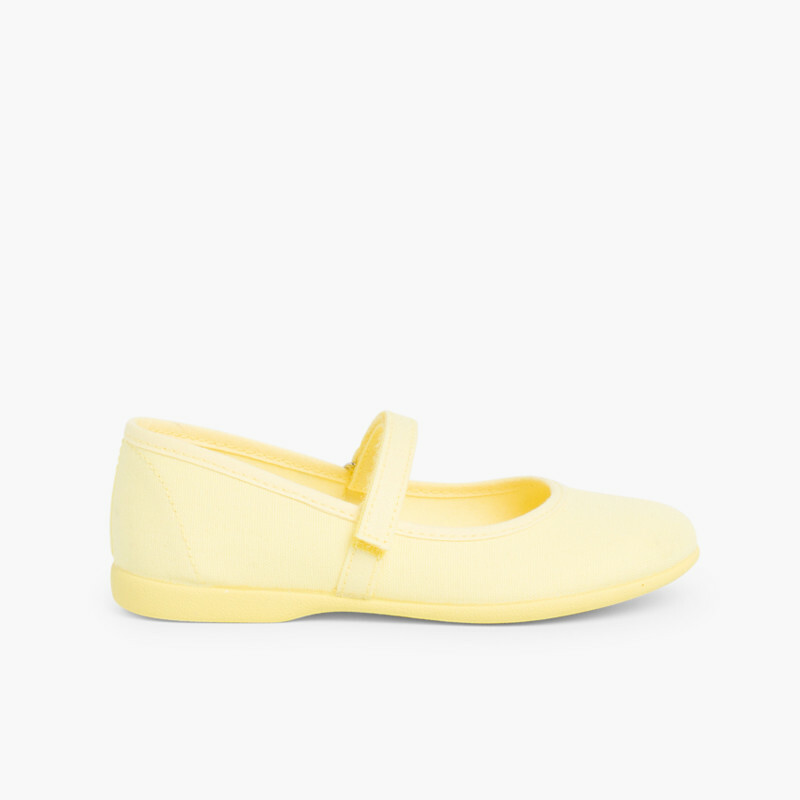 These canvas Mary Janes for girls are a classic that return to your daughters’ wardrobe every year for the warmer days. 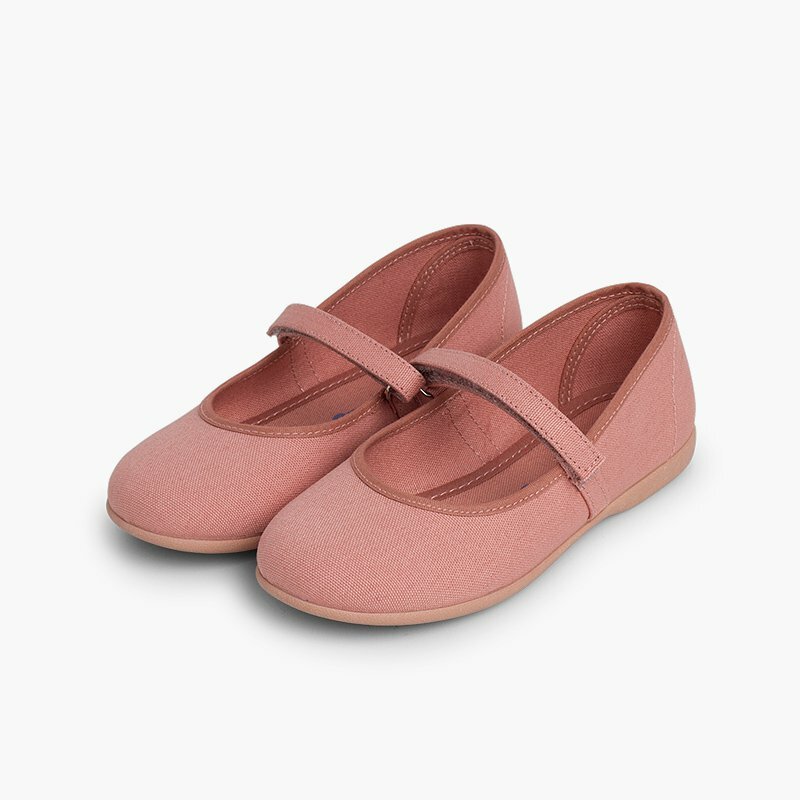 They are a perfect option for the spring and summer season and are available in many different colours making them easy to combine with all her clothes. 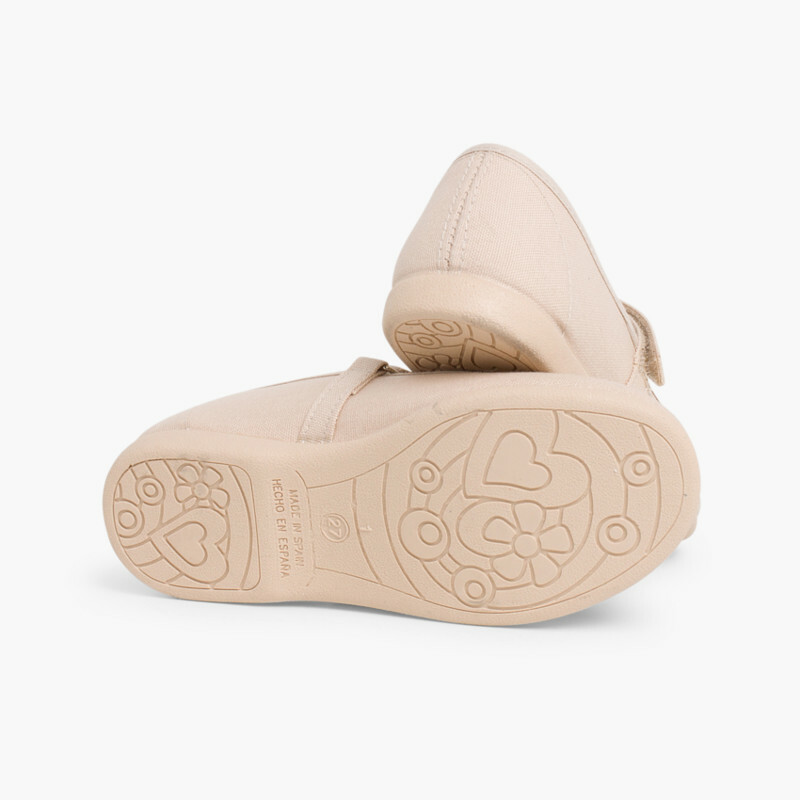 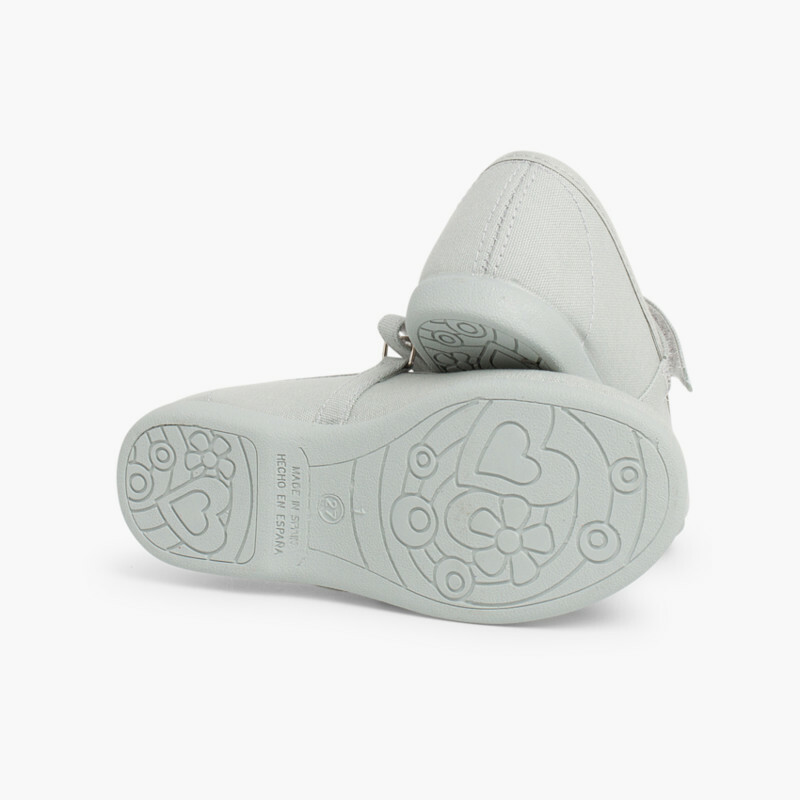 Made in canvas with a natural rubber sole that helps with the grip and avoids slips and falls. 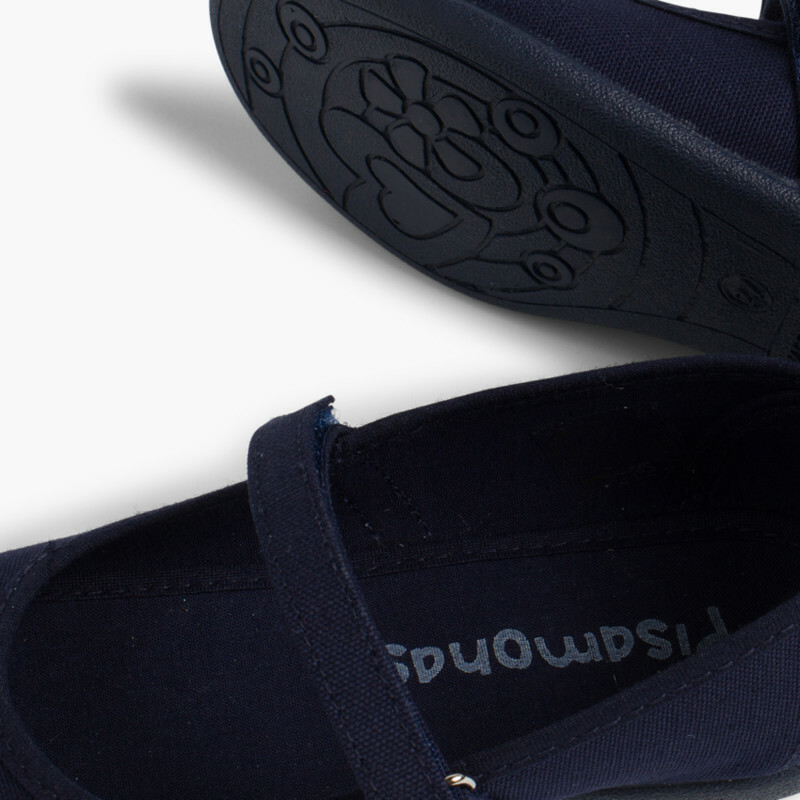 The sole is the same colour as the canvas making these shoes even easier to combine with all outfits. 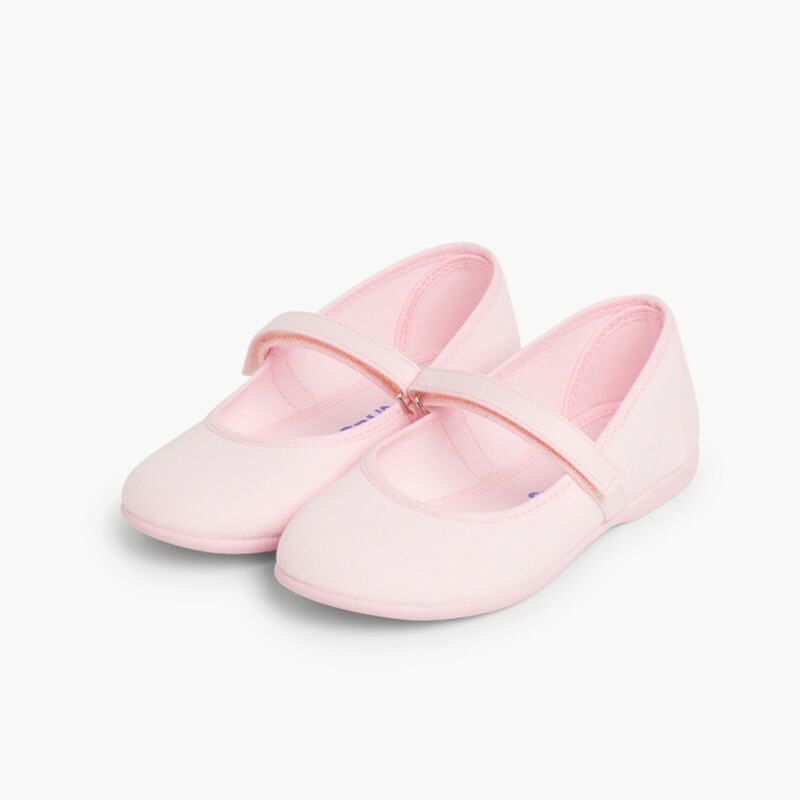 Your daughter will want to wear these shoes all summer long because not only will she look stylish, but she’ll also feel comfortable. 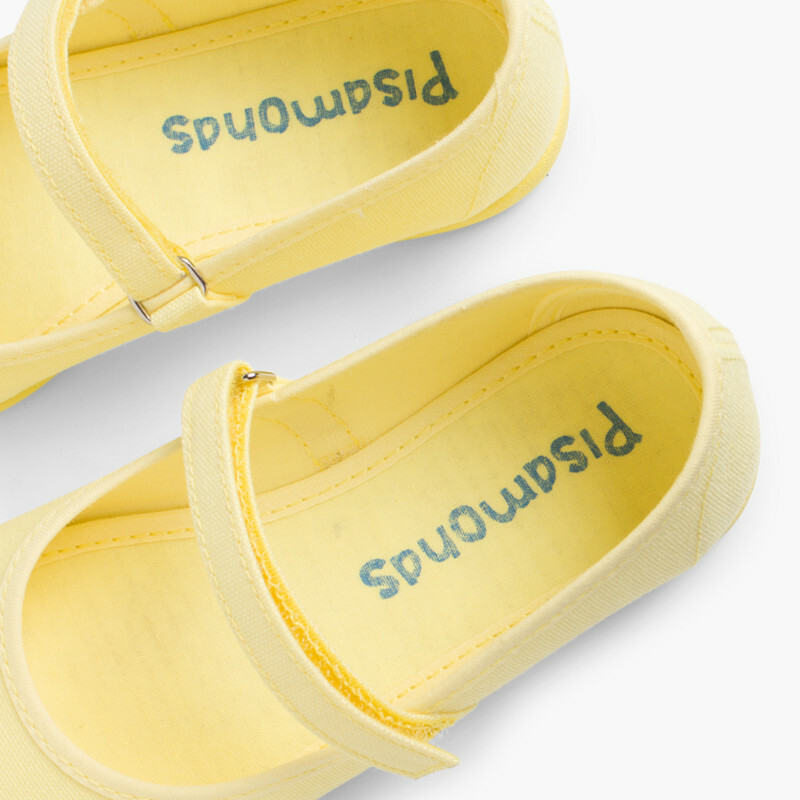 They are convenient because their Riptape fastening gives little girls that extra independence since they are able to put them on and take them off by themselves and it’s a versatile design that can be worn with dresses and skirts or even with more casual clothes such as trousers and shorts. 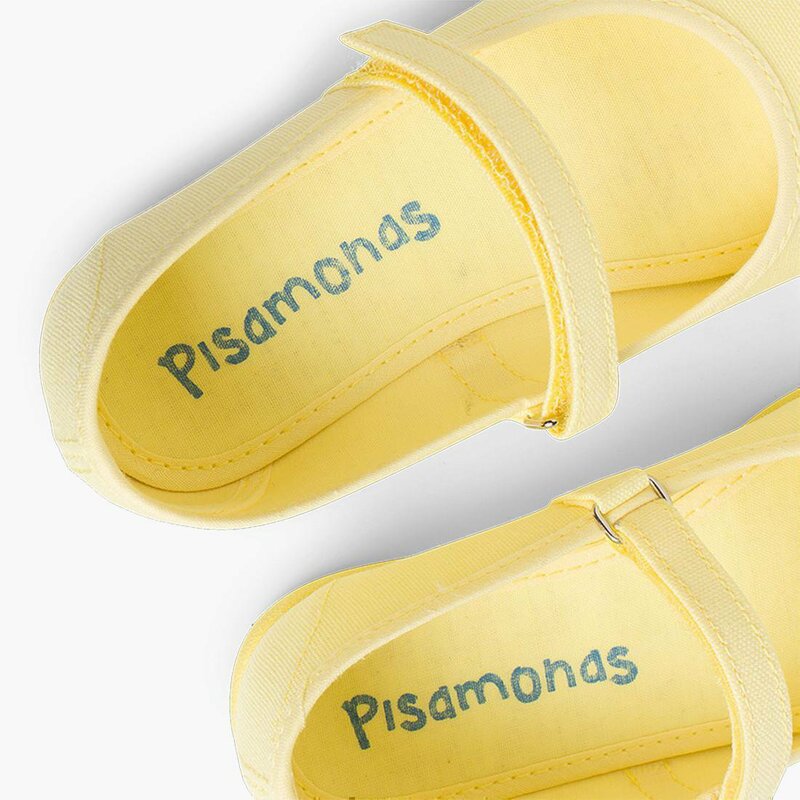 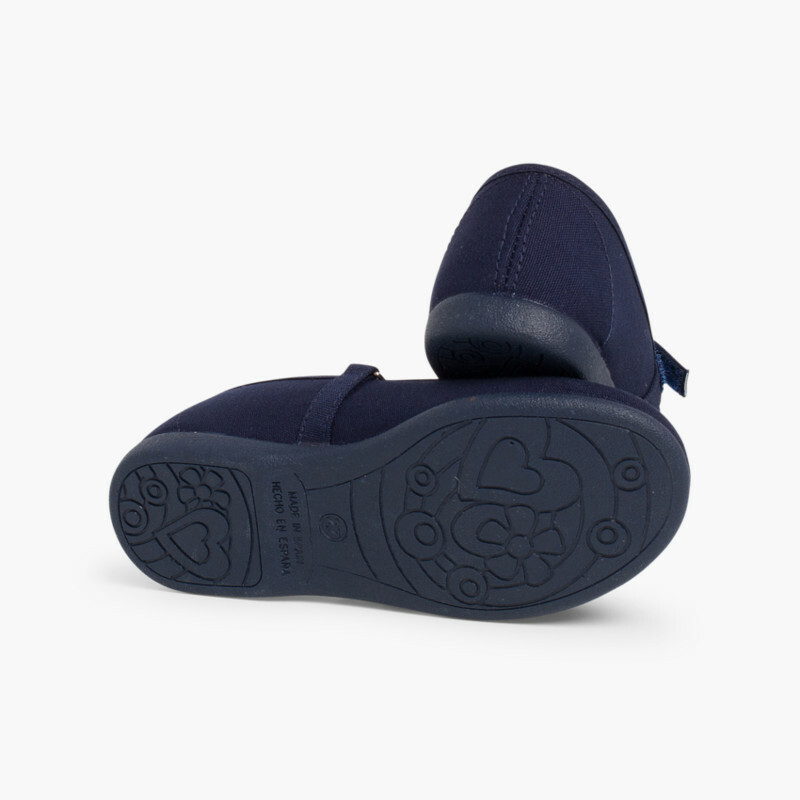 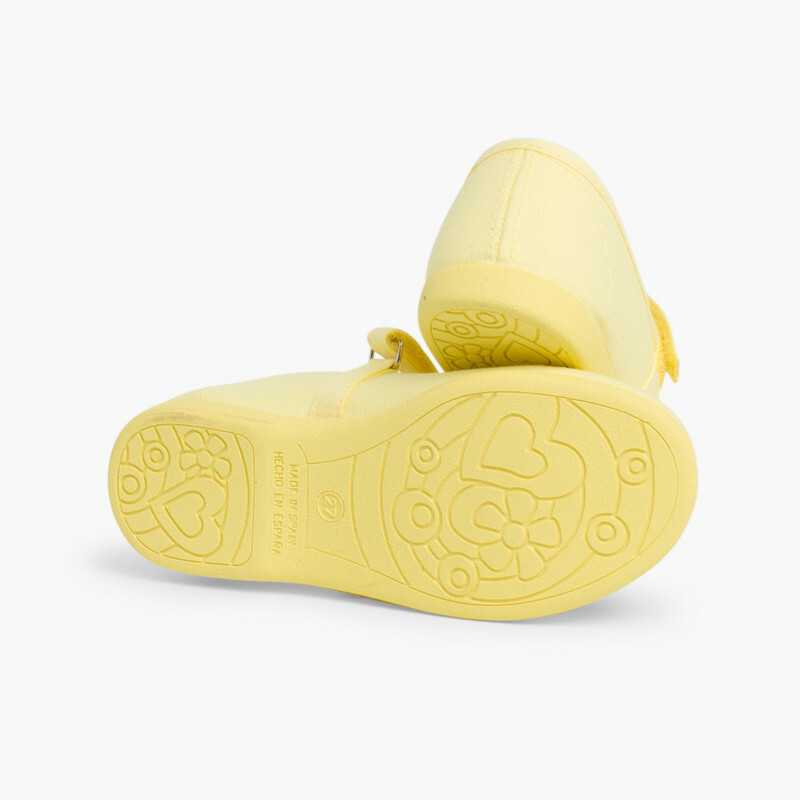 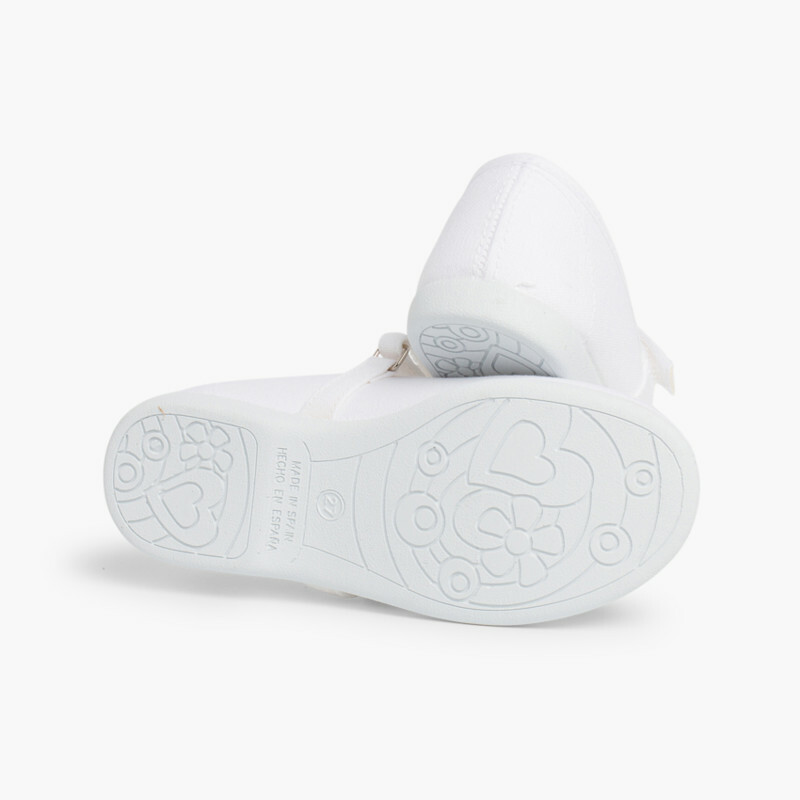 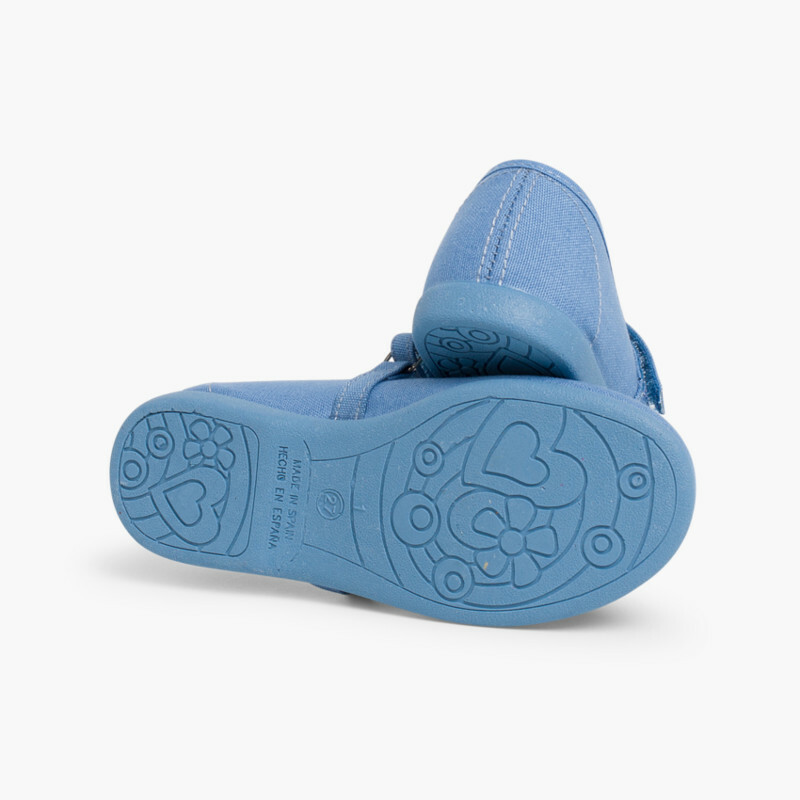 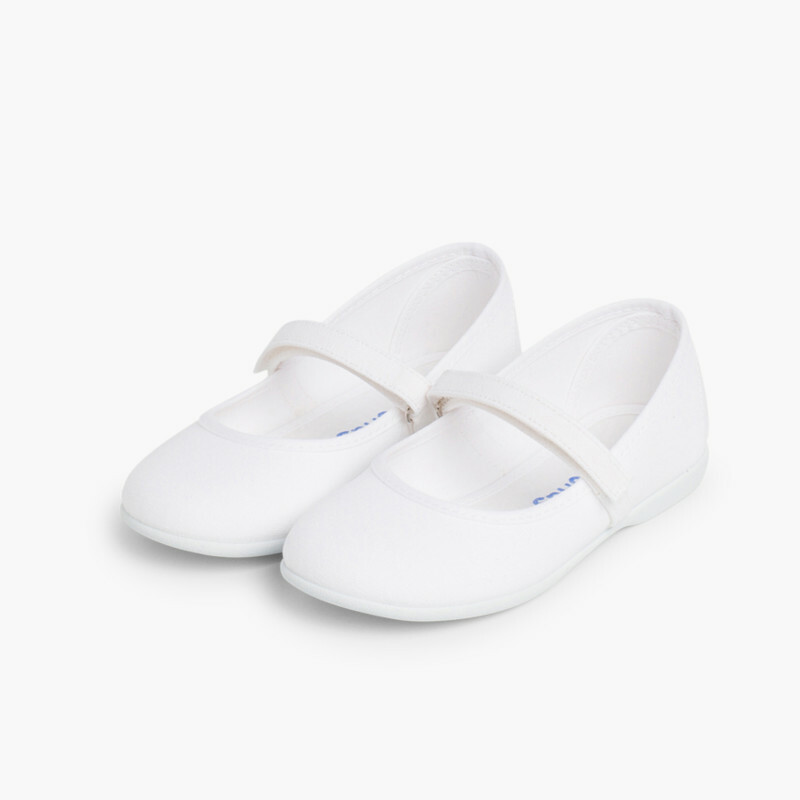 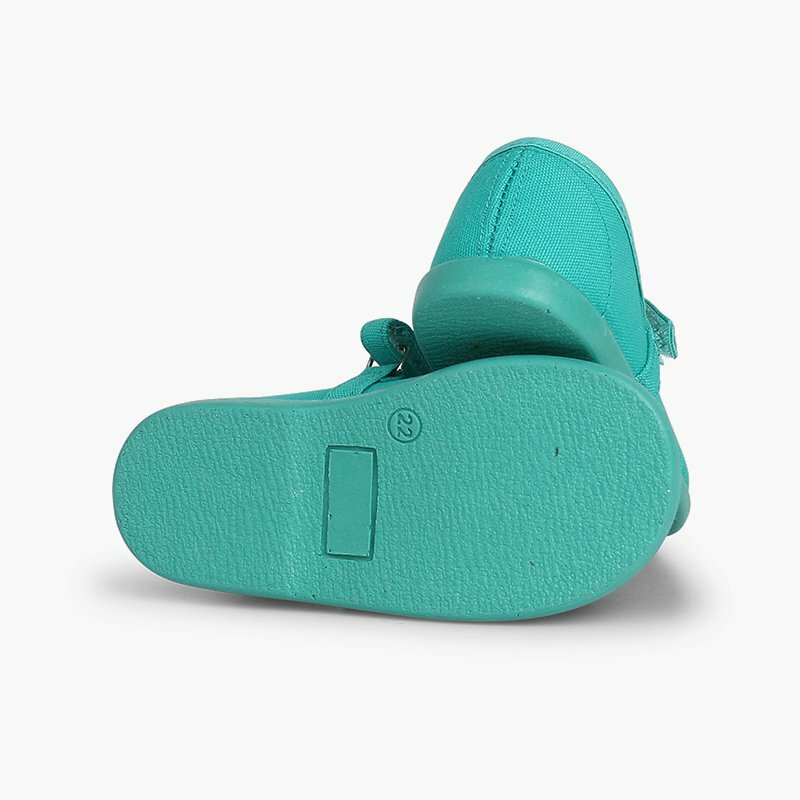 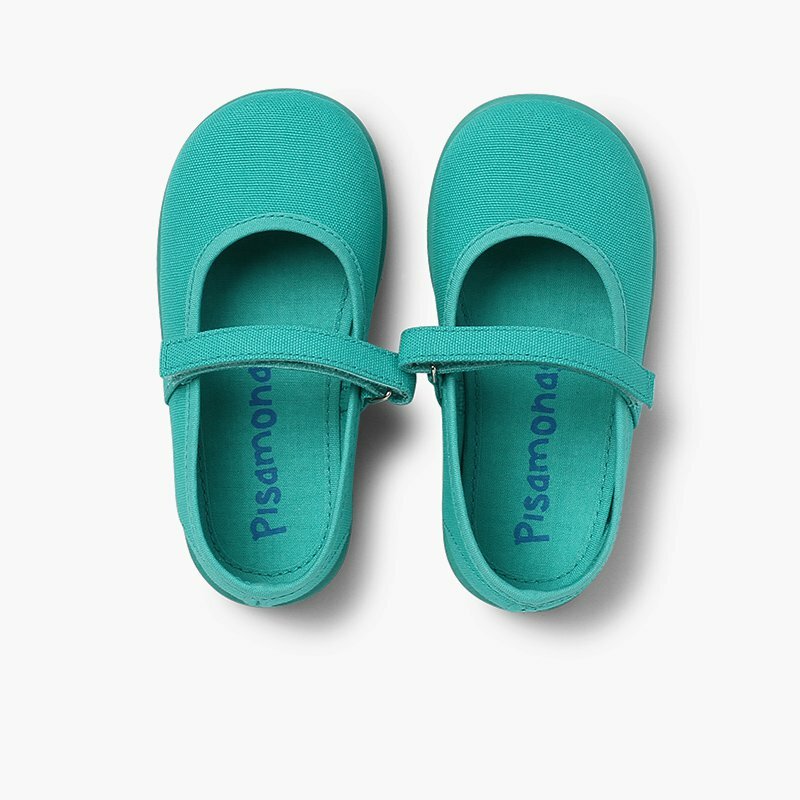 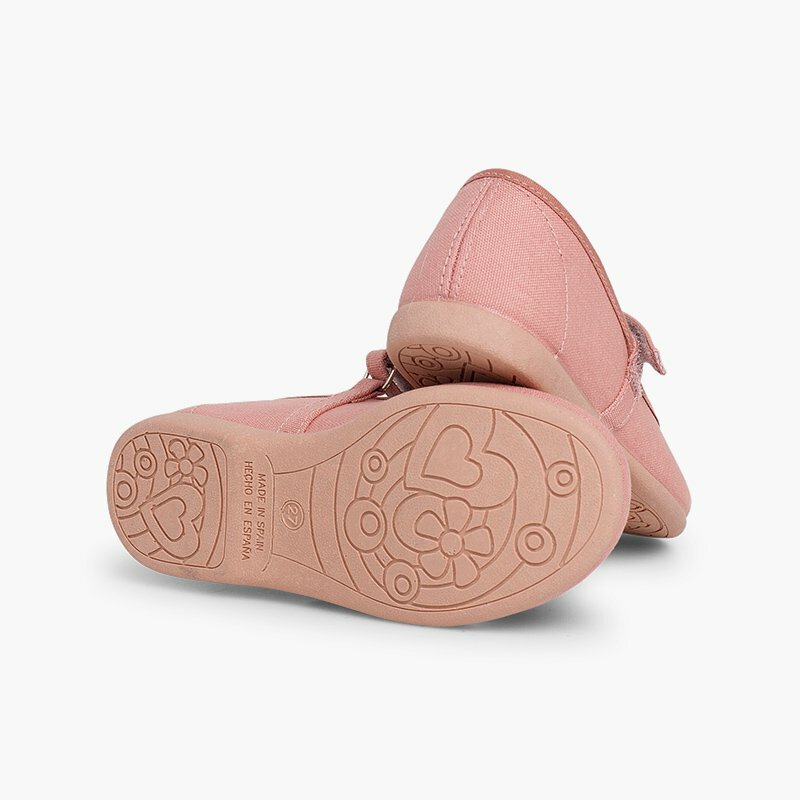 It has a trimmed insole that will make them look new after every wash.
Made in Spain with high quality canvas and in bright colours, they are washable and will look new every time. 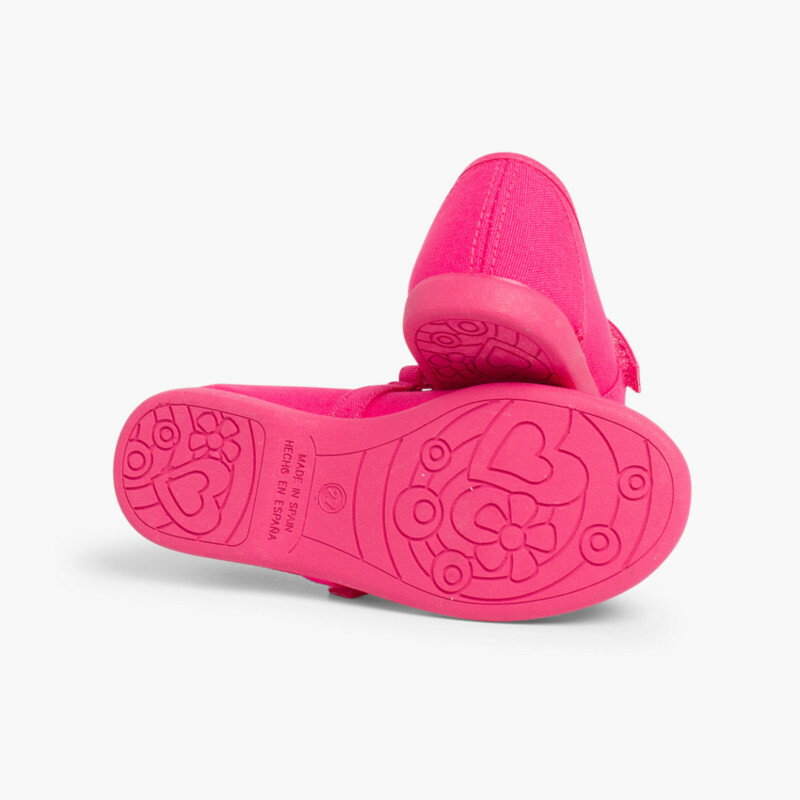 However, they might shrink a bit during the wash so if you’re hesitant between two different sizes, make sure to get the larger size to make sure your daughter can enjoy them all summer. 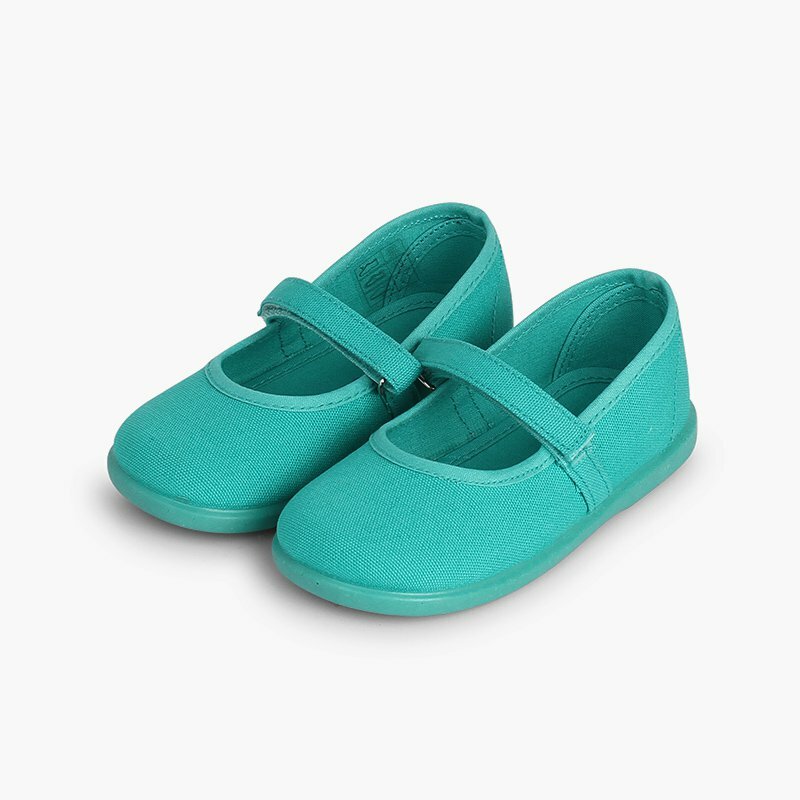 Submerge them in cold salty water for 10 minutes to make sure the colour holds and stop them from running when you wash them! 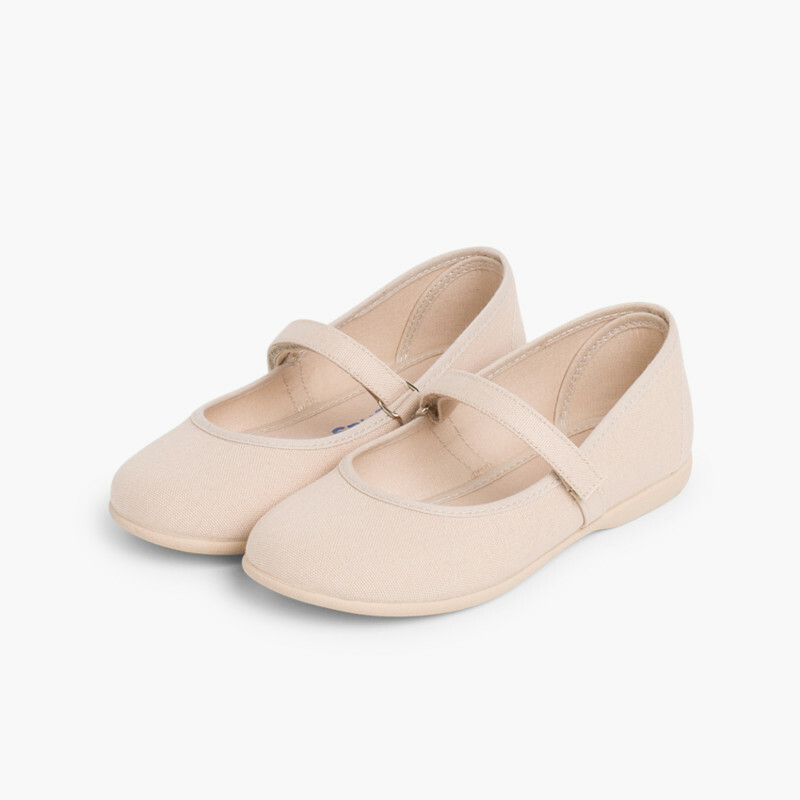 The sizing of this Mary Janes is normal, but as they're made of canvas they’ll shrink a little when you wash them, so if you’re undecided between two sizes then we recommend you go for the larger one! 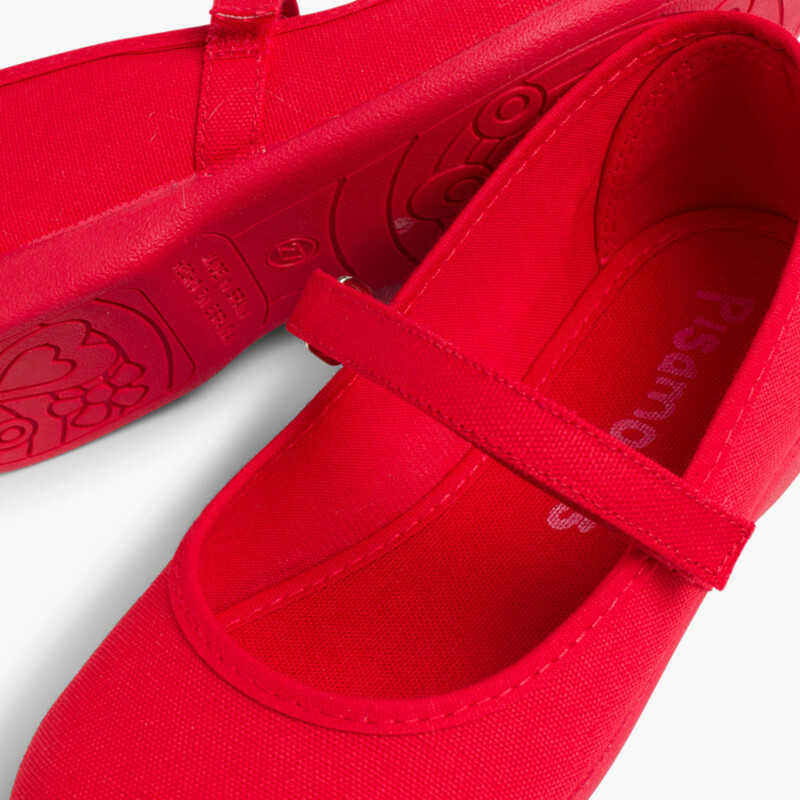 As yellow as a lemon, as pink as a strawberry, and as red as a tomato! 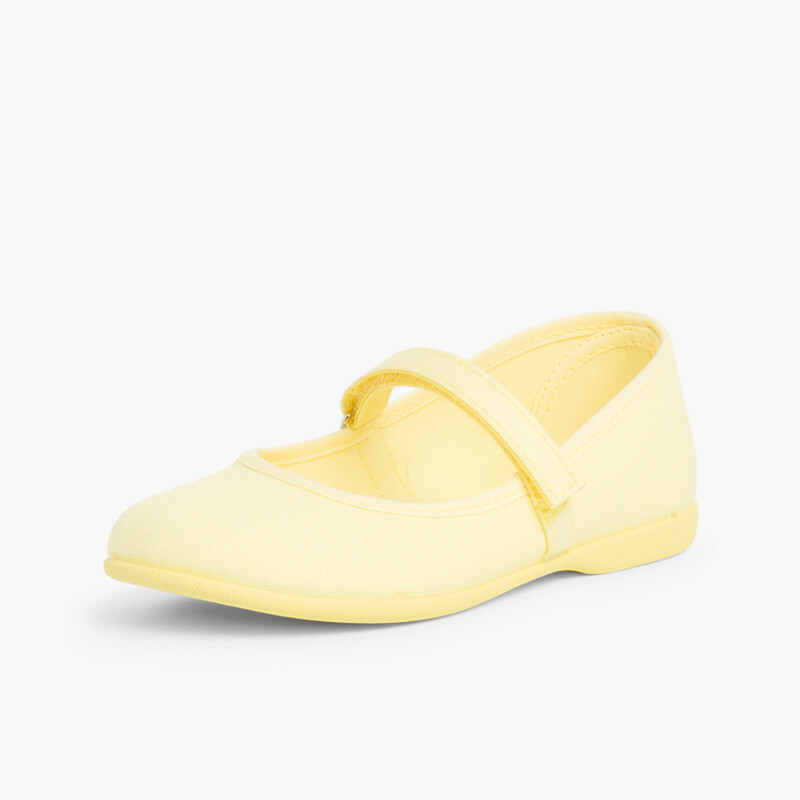 Super bright colours to cheer up all their looks, so that your little ones will be good enough to eat!